A huge thank you and well done to everybody that entered our Waste Week competition - every entry was fantastic! 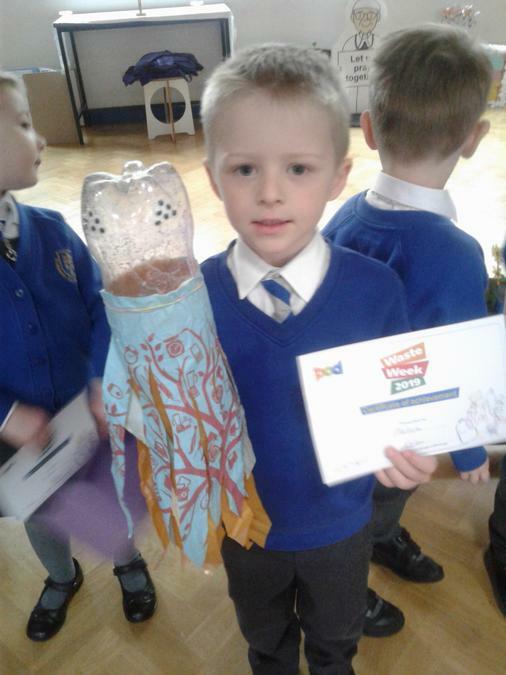 Every child that took part received a certificate. 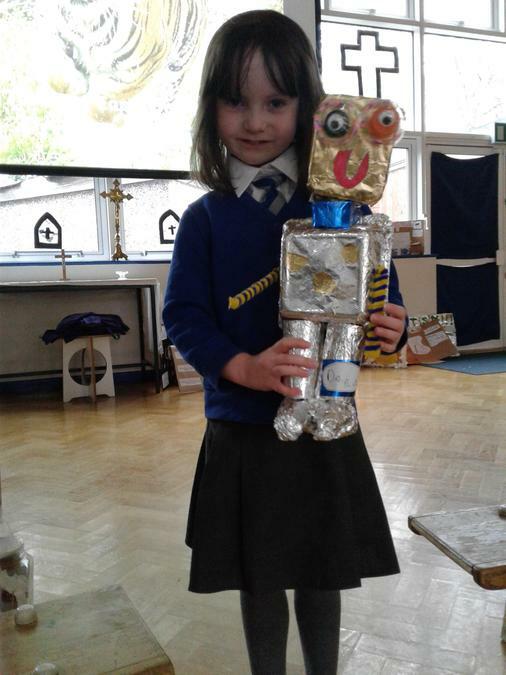 The winners in Reception were Lucy and Oliver, who both created fantastic models using different materials. 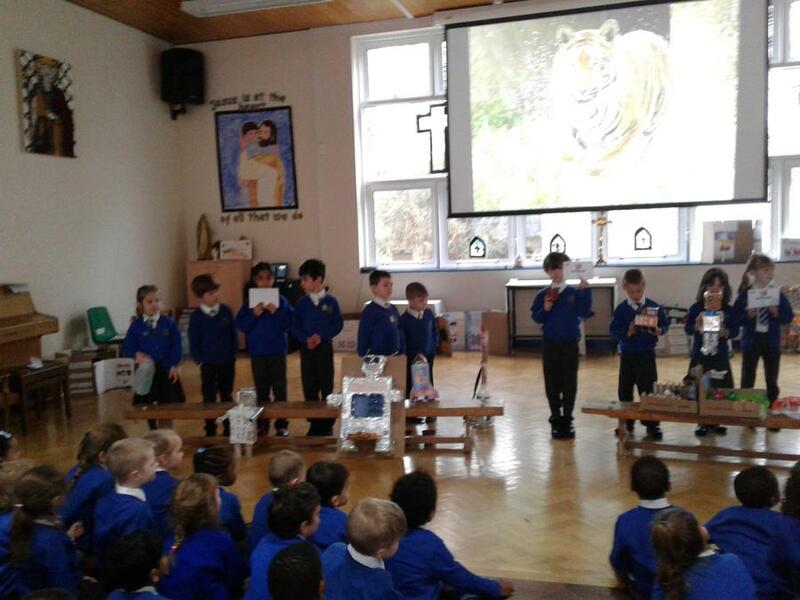 The winners in Year 1 were Eduardo and William for their excellent poems about the impact of littering on our planet. 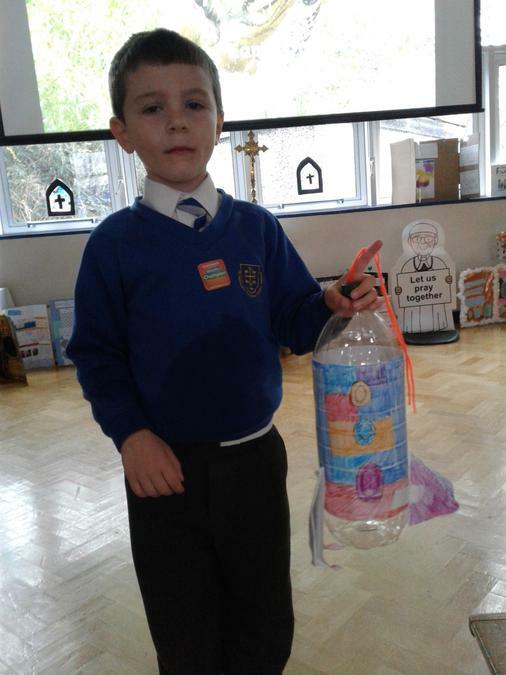 The winner in Year 2 Ezekiel for thinking of an inventive way of reusing plastic. Key Stage 2 winners will be announced soon. 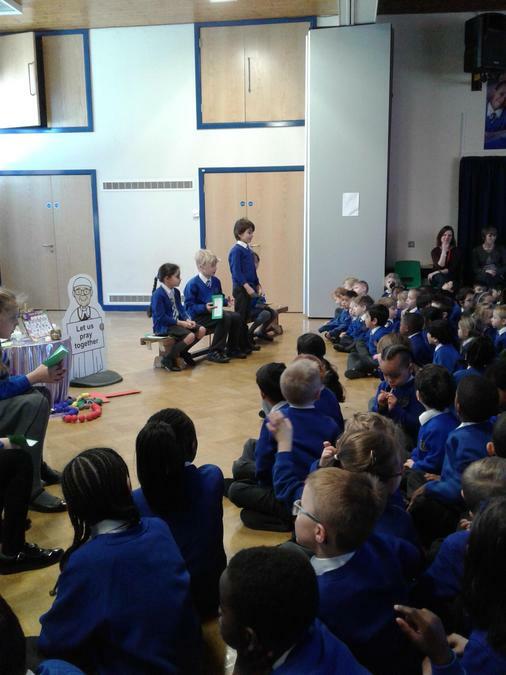 At the beginning of Waste Week the Eco team led a whole school assembly introducing the focus of the week. They spoke about single use plastic and what happens to it when we litter or don't recycle. 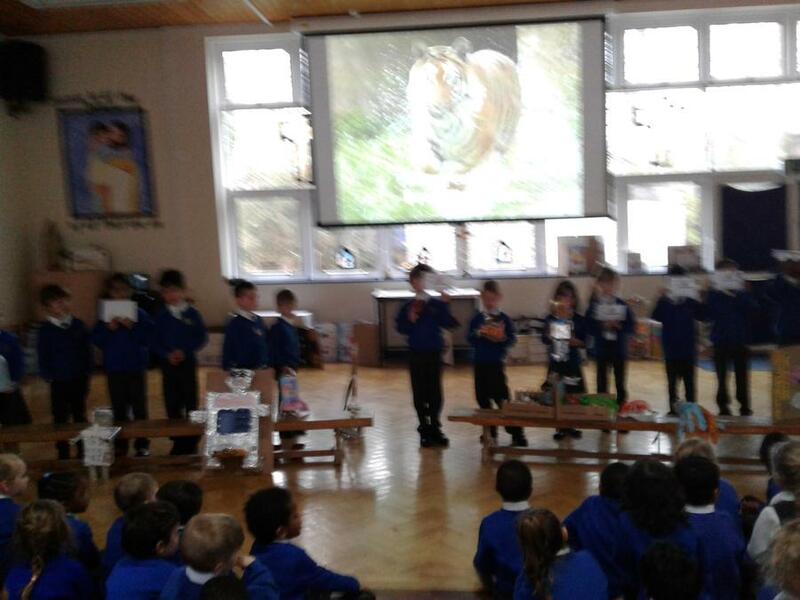 The Eco warriors gave the children some helpful tips on how to reduce the amount of plastic that they use so we can make a small difference to our planet. 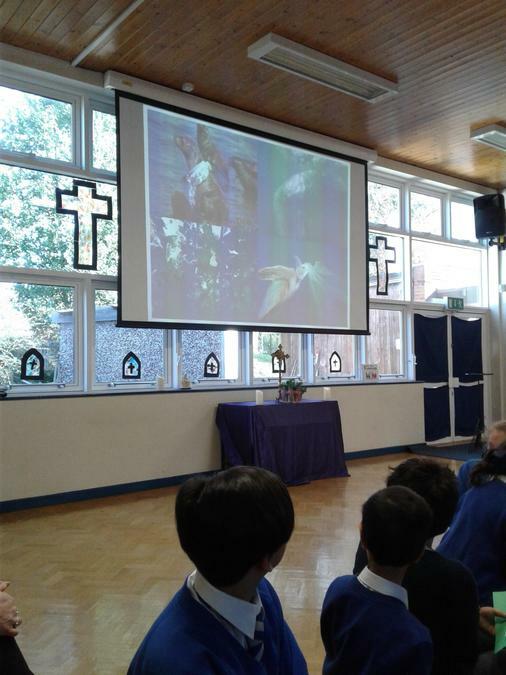 They also shared videos showing the impact of plastic on our environment and wildlife, especially ocean animals. 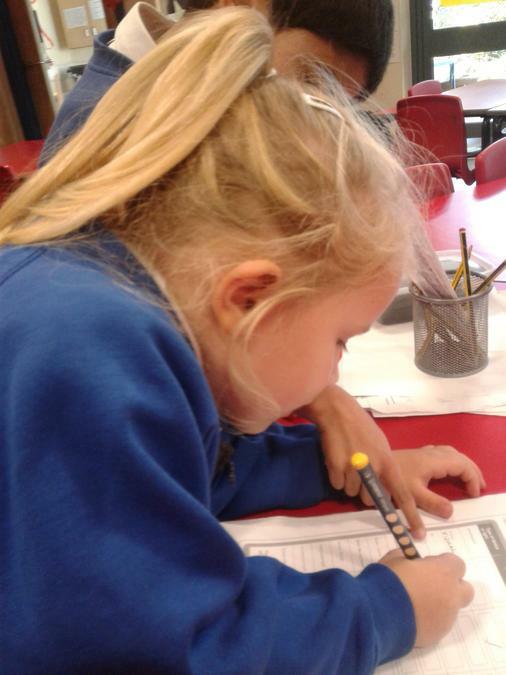 In Year 1 the children wrote letters to a local council enquirying about getting plastic recycling bins at school. 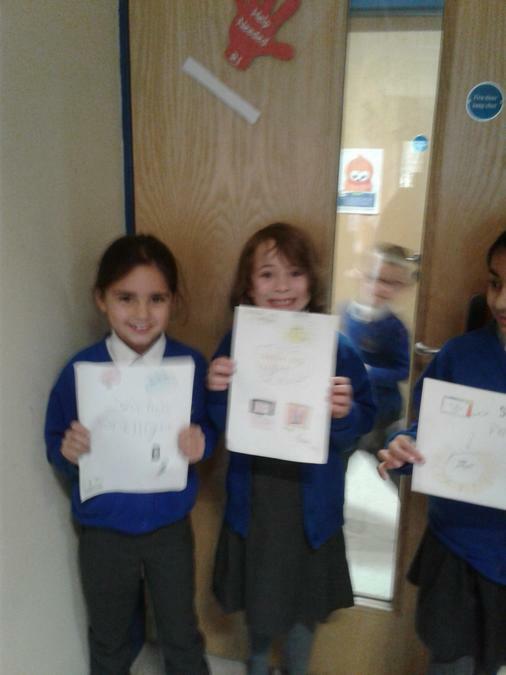 They were very persuasive and made some good points about the need for more recycling in school. 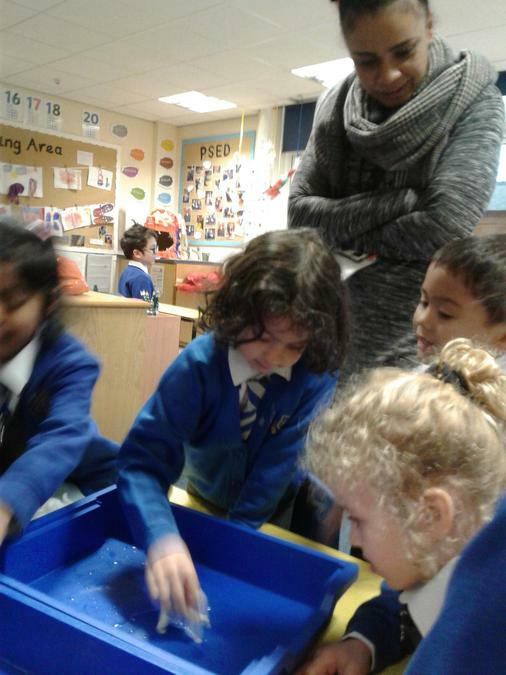 In Reception the children learnt more about composting materials and discussed which materials can be recycled. 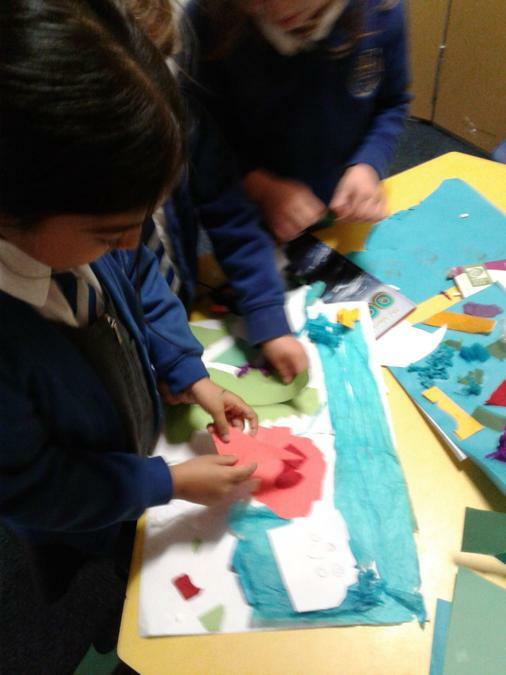 Some of the children created models using recyclable materials and other children decided to make a collage of the ocean to highlight the affect of plastic on marine wildlife. 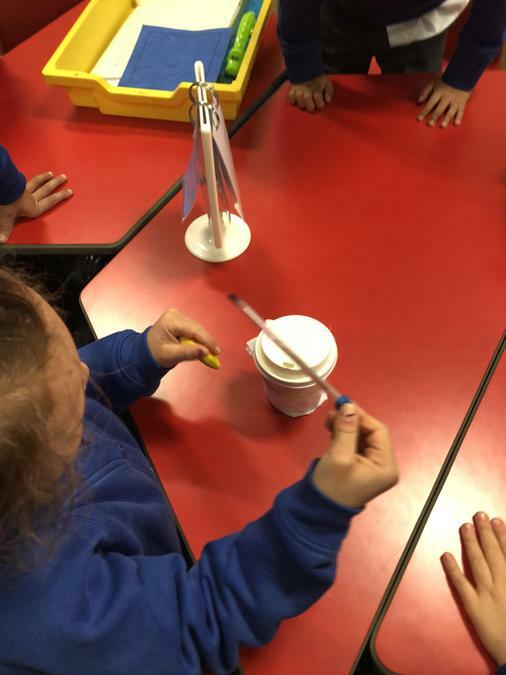 During the week the Eco team also carried out litter picks on the playgrounds and talked to their classes about the importance of reducing the amount of plastic we use. This year we will be running Waste Week on the week beginning the 25th of March. 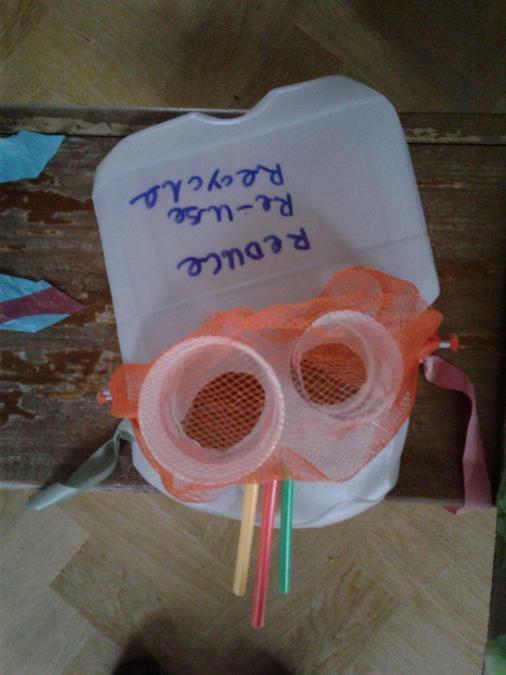 We will be learning about the affects of plastic on our environment. 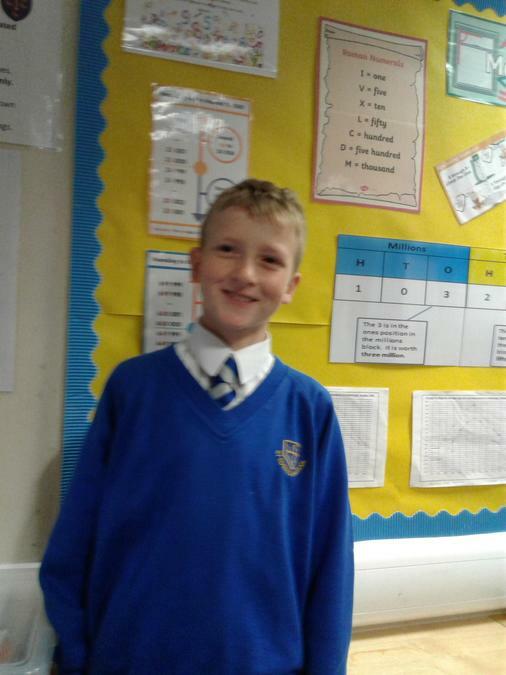 The Eco team will lead an assembly to share information about how to improve recycling and also reduce single use plastic in our school. To coincide with Waste Week we will taking part in the Great Big School Clean and will be carrying out litter picks on our school grounds. 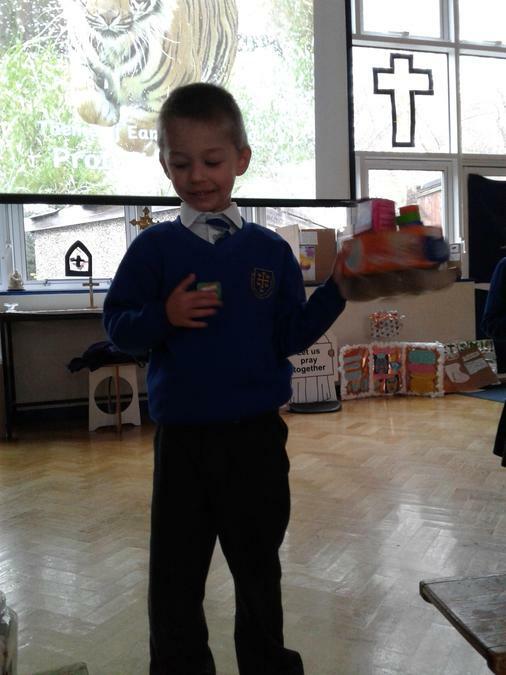 We compare the amount of waste we send to the landfill before and after the Eco campaigns. 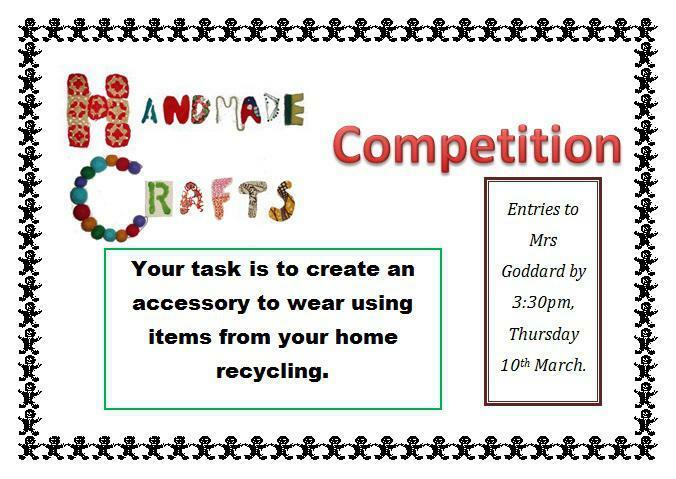 As part of our campaign the Eco team will run a competition to complete a piece of work related to how our use of plastic affects our environment. 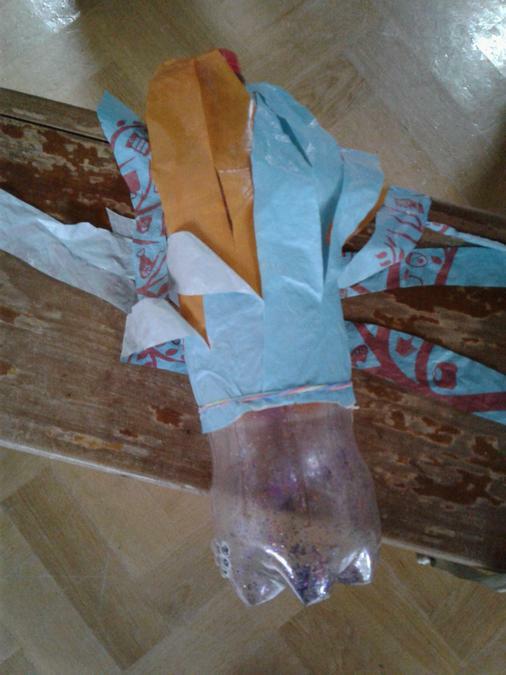 You could make a poster, a painting, write poem, carry out research or make a small model from repurposed plastic. Closing date for entries - Friday 29th March 2019 and the winners will be announced the following week with a small prize and certificate given. More information will follow! 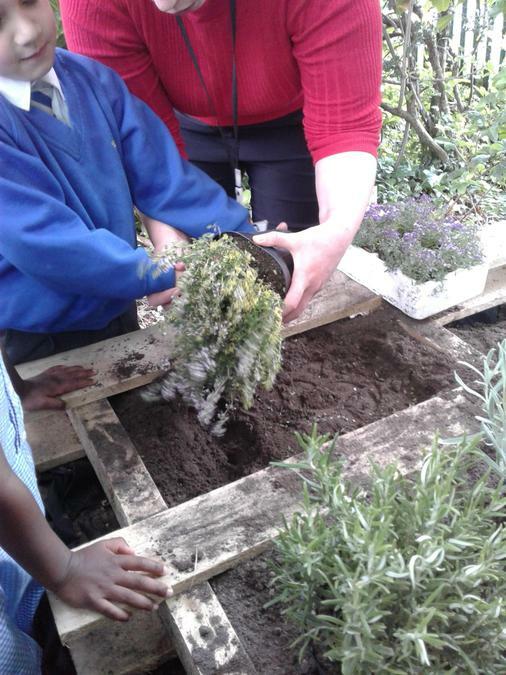 The children in Reception and Key Stage 1 have been learning about making compost. 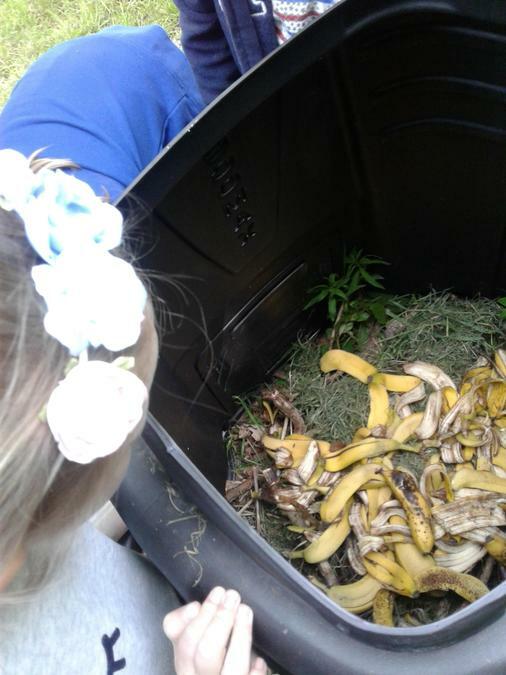 Thanks to a donation of food caddies the children have been able to recycle their fruit peels more regularly into the school compost bin. 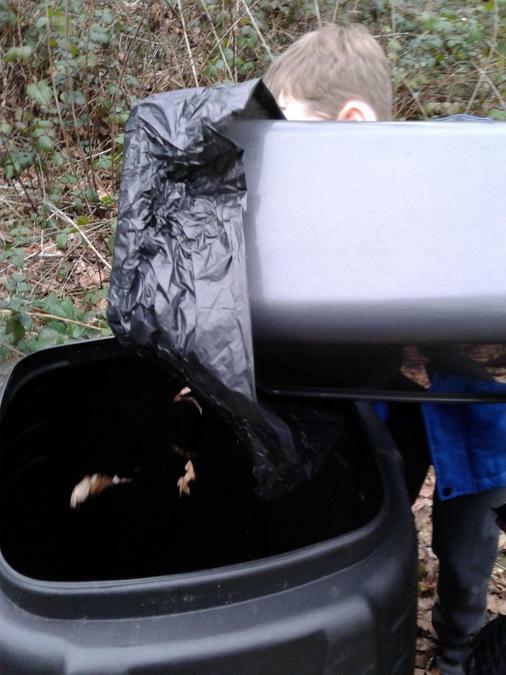 The Eco team and Reception children have been helping to empty the food caddies and have been adding dead leaves to help make the compost. On Tuesday, we celebrated our whole school Polar Explorer Day. 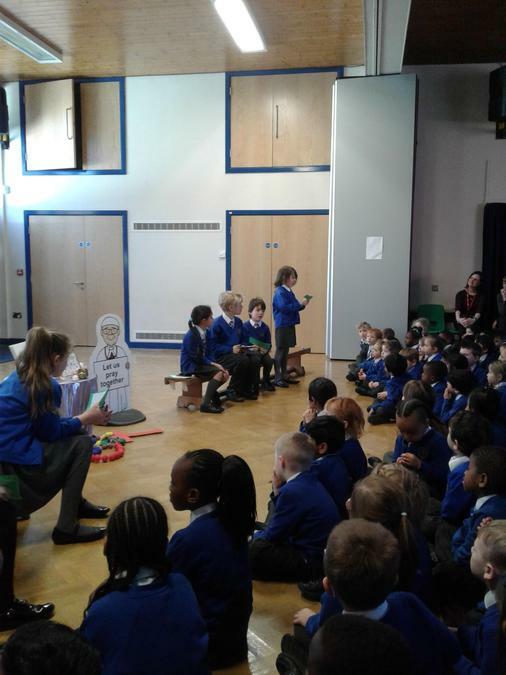 Our Polar Ambassador, Dr Jenny Watson, led a whole school assembly explaining the importance of polar exploration when learning about the past, present and future of our planet. 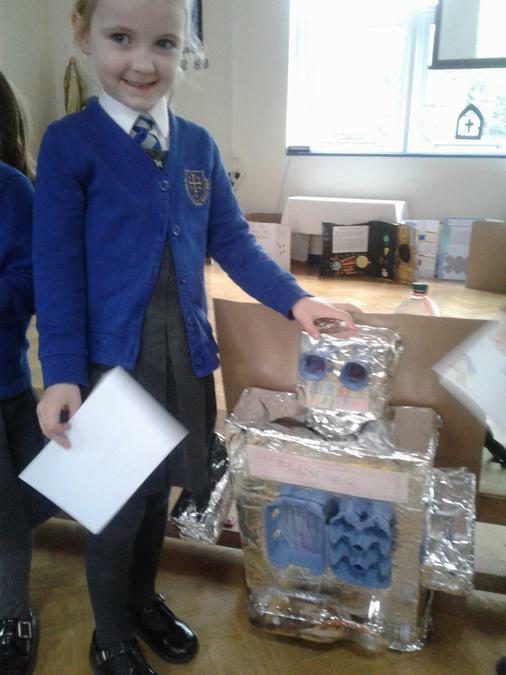 Every child took part in a range of STEM (Science, Technology, Engineering and Mathematics) activities that focused on engineering, climate change, animals and adaptation, exploration and the oceans. 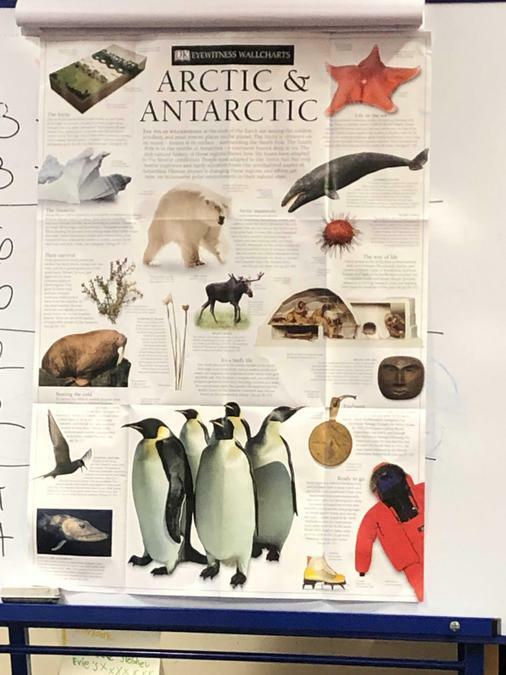 It was an inspiring day that helped the children learn more about current polar exploration and also highlighted the importance of looking after our planet to help reduce the impact of climate change. 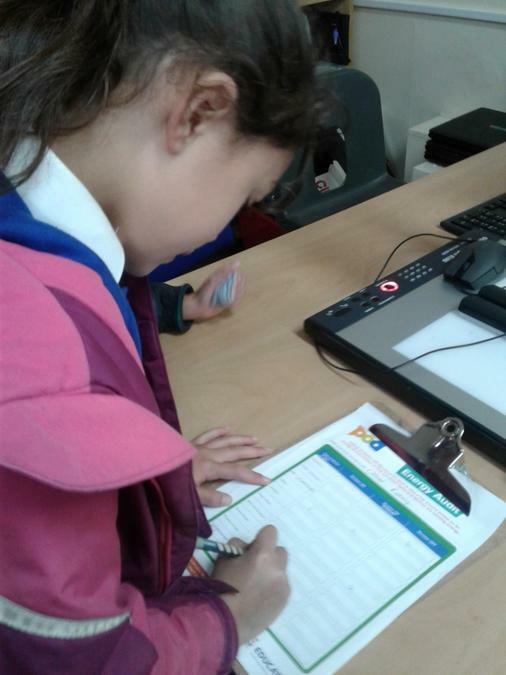 Key Stage 1 Eco warriors began the Switch Off Fortnight campaign by carrying out an audit on how much electricity is being used in our school. 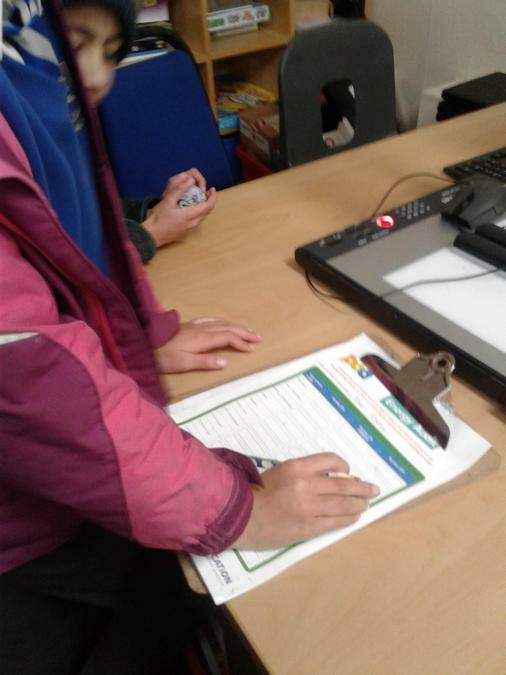 The Eco warriors visited each classroom and recorded whether the electrical items were on, off or on standby. We will use this data to compare with the final audit at the end of Switch Off Fortnight. Hopefully we will find a reduction in the number of electrical items on ! 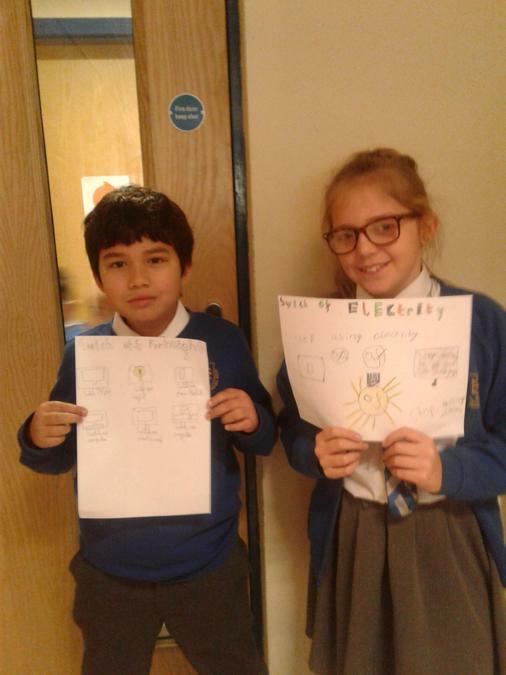 During an Eco meeting the whole school Eco team had the opportunity to learn more about electricity and renewable energy. 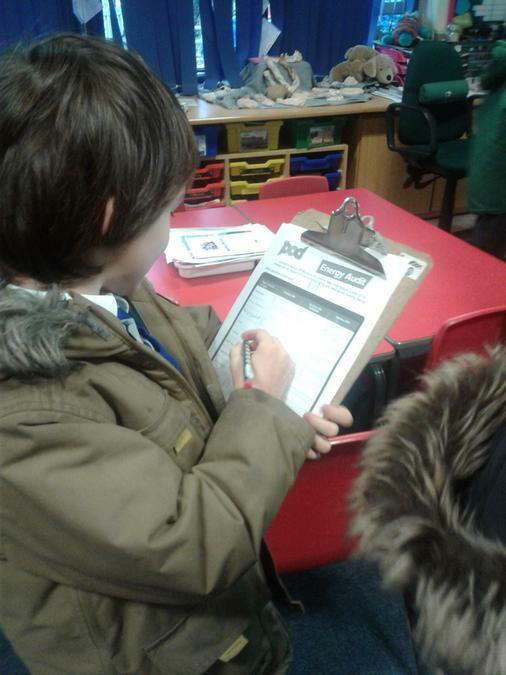 The children went on a fact hunt and shared their facts so they could answer key questions about the topic. 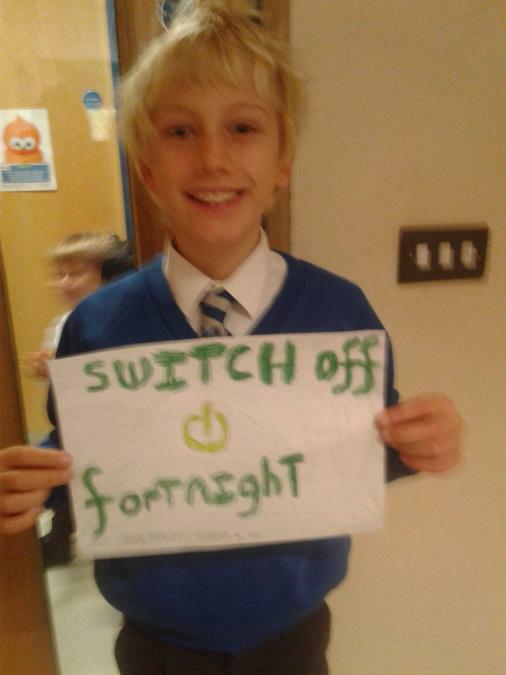 The Eco team decided to create posters so they could raise awareness of the Switch Off Fortnight campaign at school. They also put up some key facts and posters from the POD around the school. 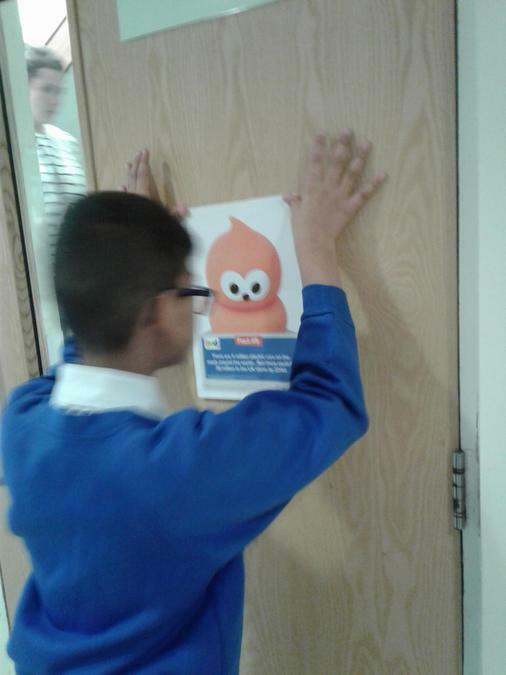 This year we have partnered with EDF Energy’s education programme The Pod to celebrate Switch Off Fortnight for the second year running. 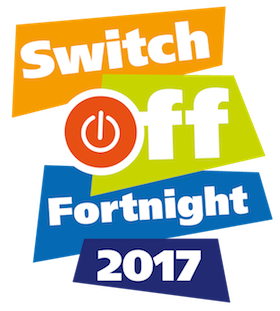 Switch Off Fortnight is a campaign that will be running between Monday 19th of November to the 3rd of December. As part of campaign the whole school will be working together to think about how we use energy and ways we can reduce the amount of energy we waste. 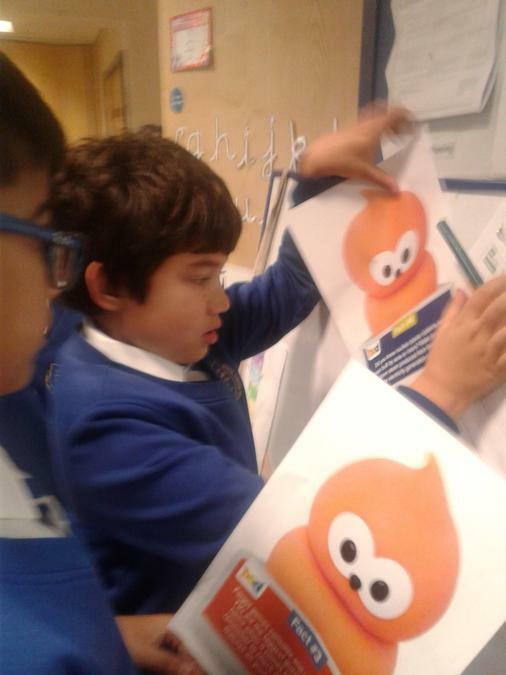 The Eco Warriors will be carrying out an energy audit at the start and end of the two weeks to identify where energy is wasted and also so we can measure the success of Switch off Fortnight. 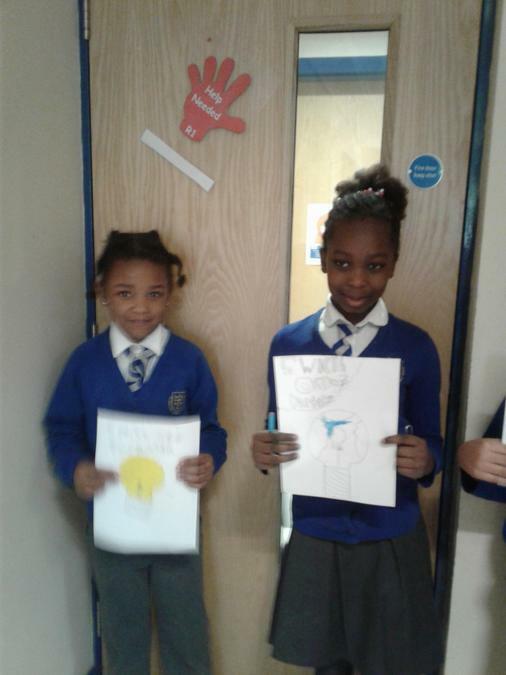 We look forward to finding out how much electricity we can save as a school! For further information on the campaign and ways to continue this campaign at home see the documents below. We are delighted to have been accredited with the Eco-Schools Sliver Award following on from the Bronze Award last year. 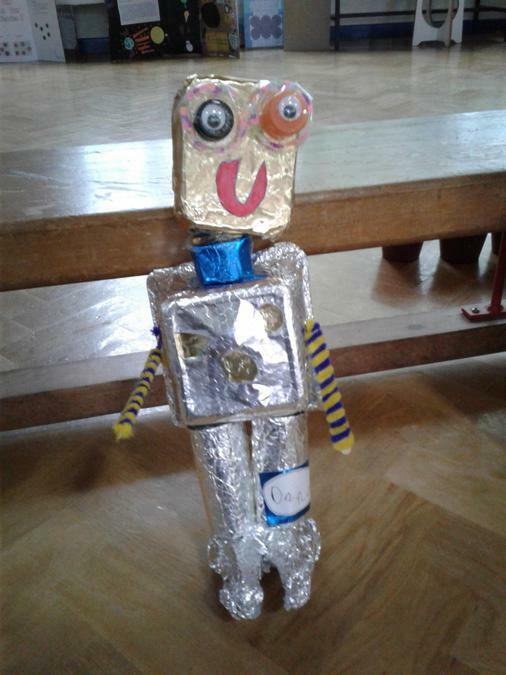 Thank you to all of the children, parents and staff who have worked hard throughout the year to make St Edward's a more Eco friendly school.The children and staff have worked together to reduce waste in our school and litter on the school grounds. 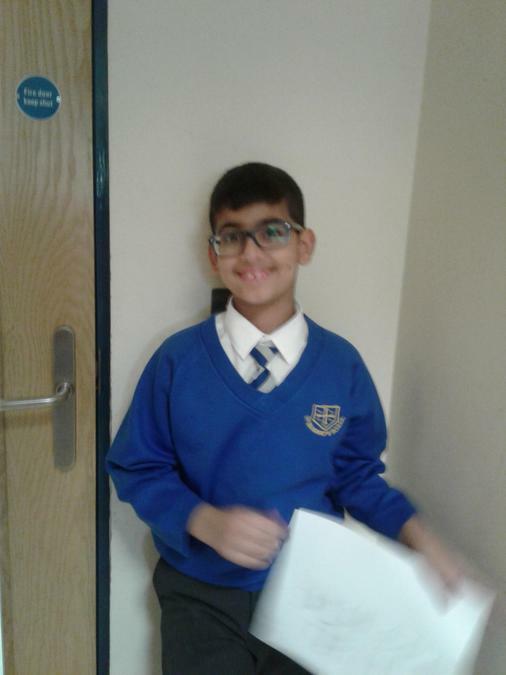 Regular litter picks and continued monitoring of our use of electricity at school has been carried out by the Eco team. They have reduced our electrical wastage by turning off lights and electrical devices not in use. The kitchen staff have also been involved in our sustainability journey and have been saving all vegetable and fruit peelings for our new compost bin; which the children have been enjoying filling and checking on. We look forward to continuing our Eco journey and now aim to be awarded a Green School Flag status next. 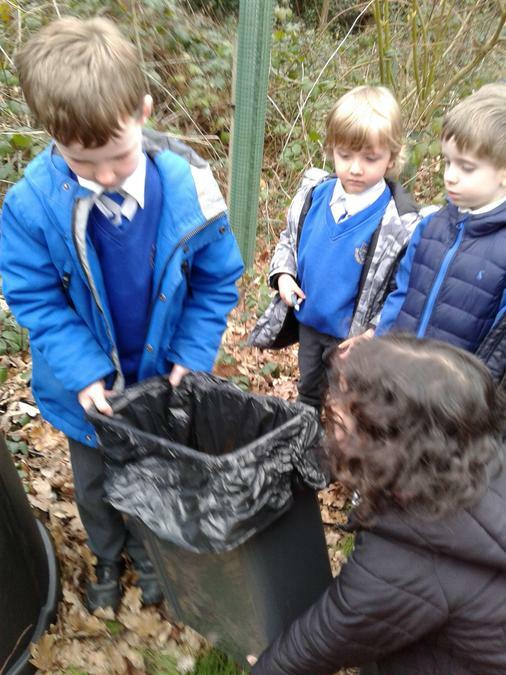 The Eco team and reception children have been recently learning about composting. 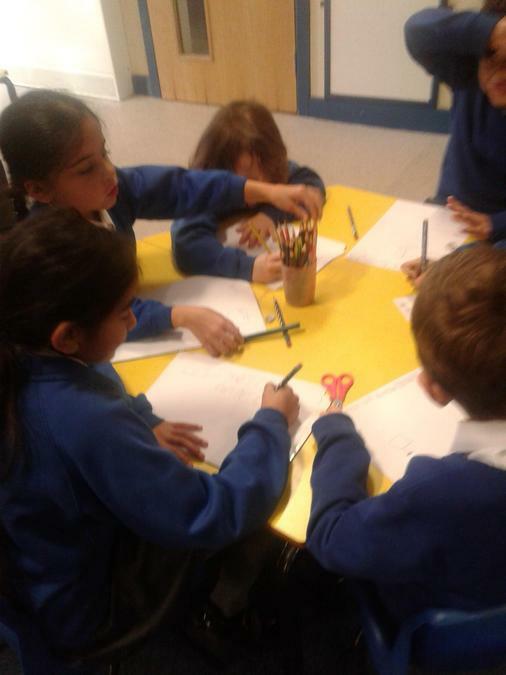 We have discussed what can be added to a compost bin (e.g. 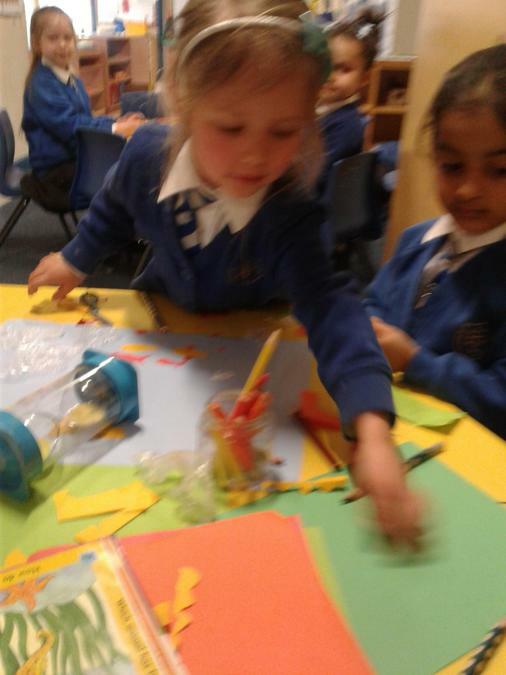 egg shells, leaves, grass clippings, fruit and vegetable, peelings and tea bags). We also talked about things that cannot be added to the compost bin (e.g. any cooked food, animal products and plastic). 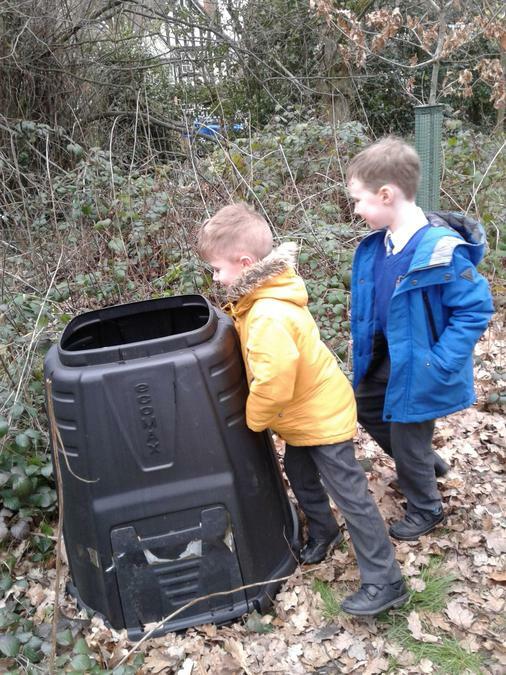 The children have begun composting leftover fruit peelings from some of the classrooms and have been adding them to our new compost bin that was kindly donated by Mr Duffy. The kitchen staff have also been involved and have been collecting fruit and vegetable peelings from dinner preparations. 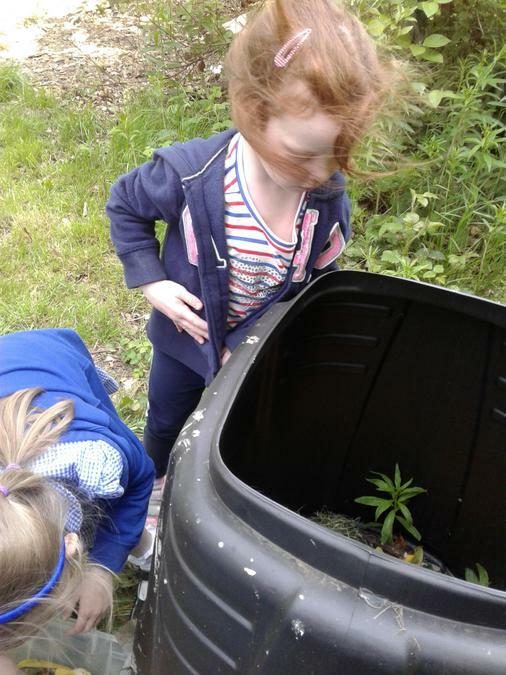 One of our Eco warriors even brought in waste from home to add to the compost bin - it was a great discussion point for how we can be ecologically conscious at home too. 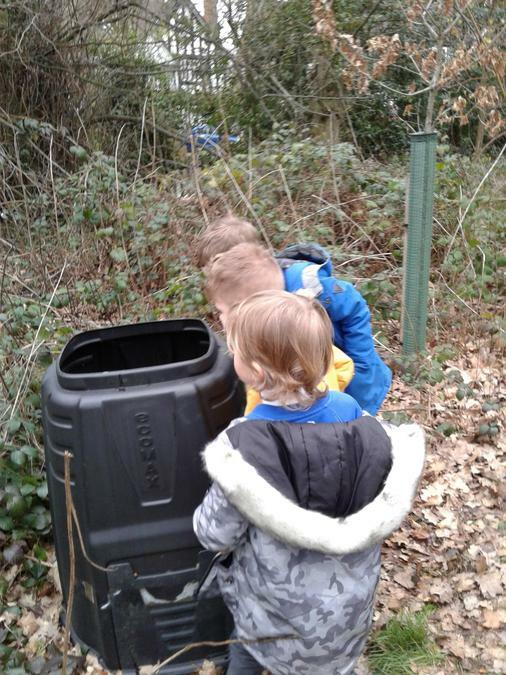 We look forward to learning and discovering more about the composting process.The reception children are already eager to dig for earthworms to add to the bin. 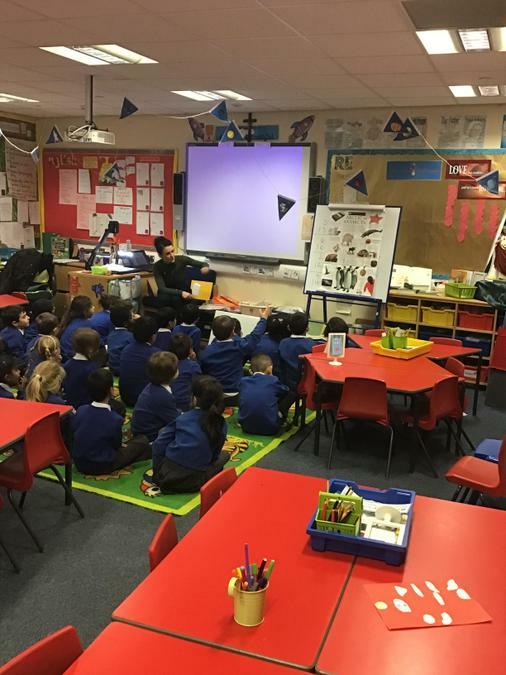 As it was World Bee Day on the 20th of May we had a visit from Mr Duffy who taught the children about how bees make honey, showed them an empty beehive and gave them a taste of some of the honey. 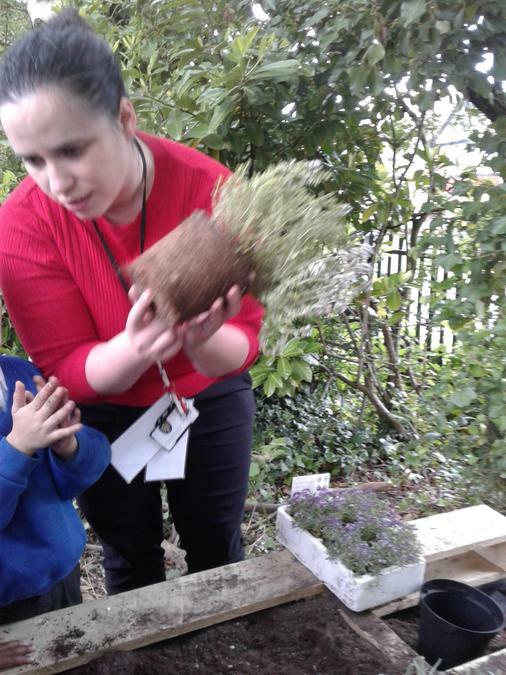 The children learnt about the importance of bees to our ecosystems. 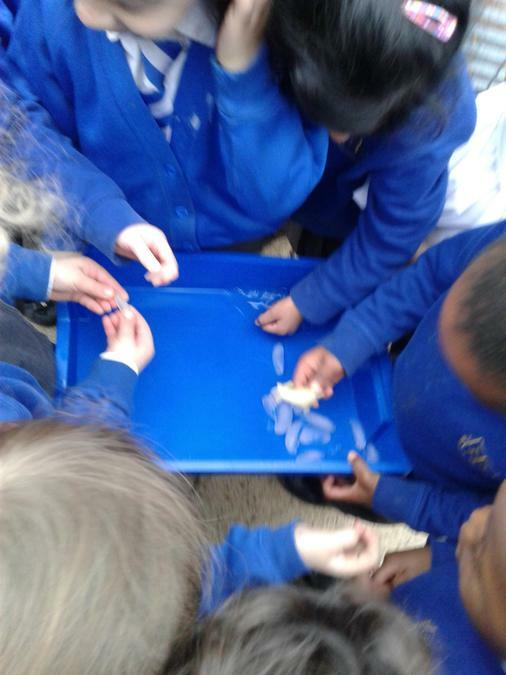 As part of our mini beast topic the children also enjoyed learning about other small creatures that can help our environment (e.g. worms). They explored our existing bug hotel and had a go at making their own little bug houses. This year Waste Week has been very successful with a big reduction in the amount of food being thrown away at lunch time and in the classrooms. The dinner ladies have reported that the daily amount of food/packaging waste has reduced from 6 or 7 small/medium sized bags to 3 or 4 bags during Waste Week. We hope that we can maintain and even improve this progress throughout the year! 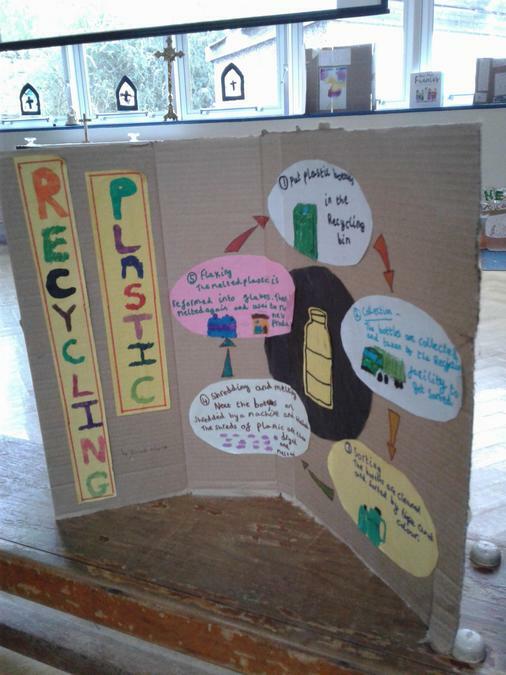 The Eco team raised awareness of Waste Week through posters and fun facts in the dining hall; holding Eco meetings and by providing feedback to their class about ways to reduce waste (e.g. 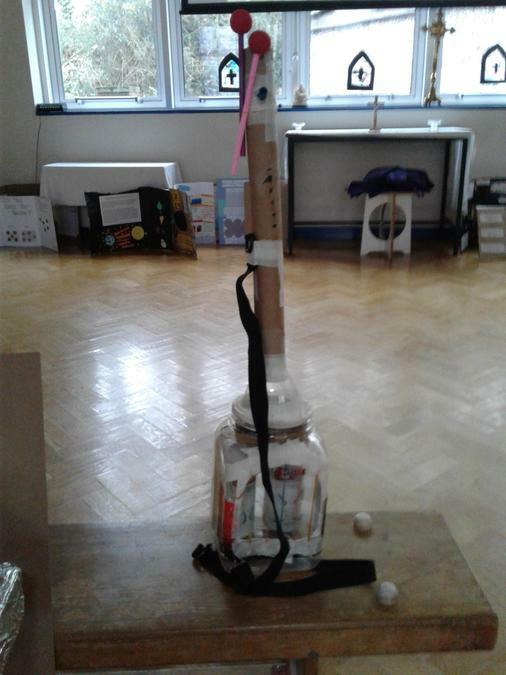 using reusable drink bottles, avoiding excessive plastic packaging, using reusable containers in packed lunches and taking only what is needed from the salad bar).The whole school also completed lessons on the importance of reducing, recycling and reusing food/packaging. Some classes created posters and fact files about the importance of reducing the amount of food/packaging waste we generate. 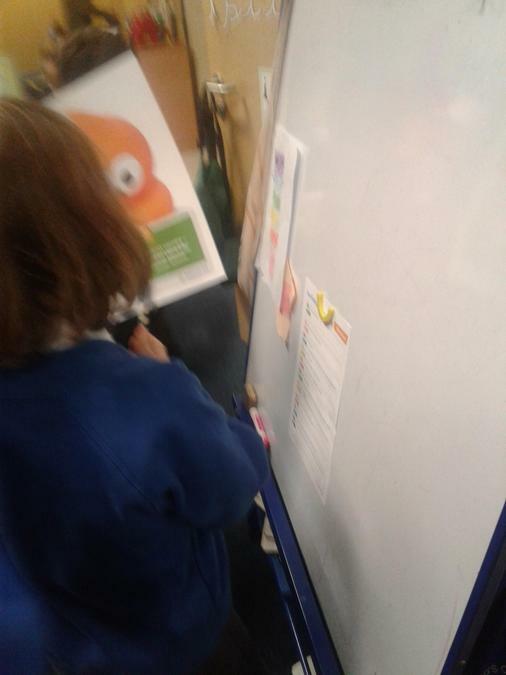 In our reception class we made a pledge to not throw out any toast during snack time and our class Eco warrior regularly checked the bins for unnecessary food waste. 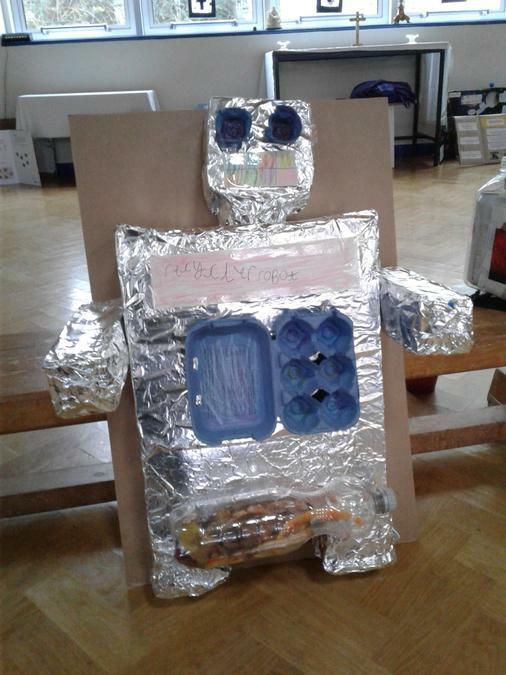 During the week children also reported that they were completing Waste Week at home and had been speaking to their family members about reducing food/packaging waste during meals and weekly shopping trips. 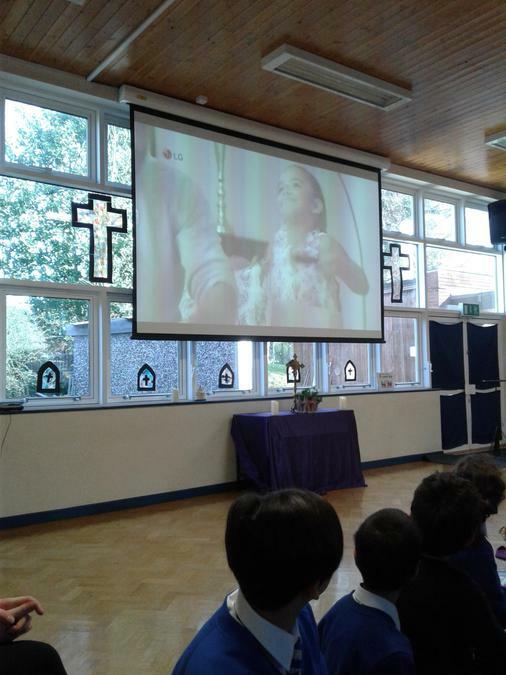 In our assemblies Waste Week was also linked to our Gospel Values of ‘intentional and prophetic’ as our actions can have a huge impact on the environment. By taking responsibility for the waste we create and by making better choices we can improve the world we live in. 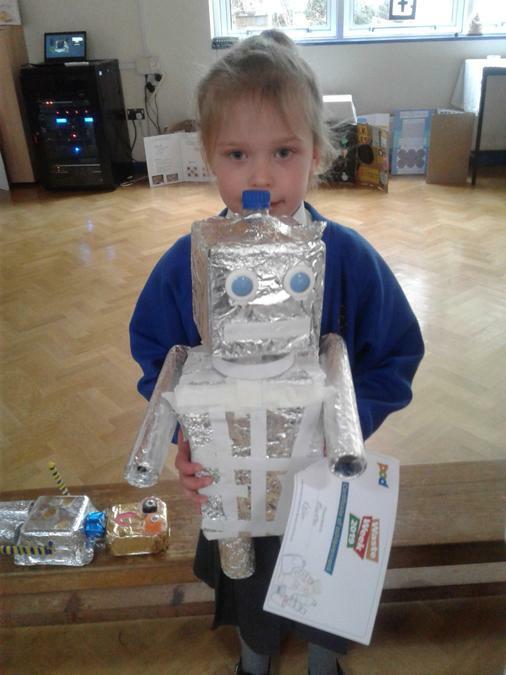 Well done children/staff for supporting Waste Week and also to parents who may have carried out their own Waste Week at home. 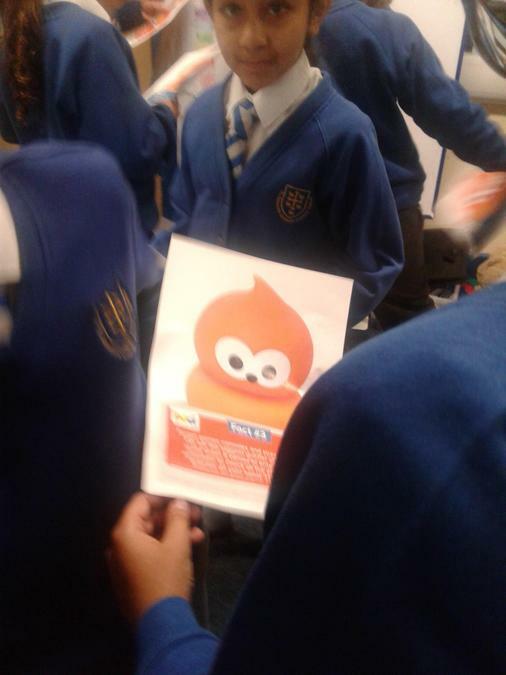 We hope that this campaign has raised awareness and will promote better habits at school/home. 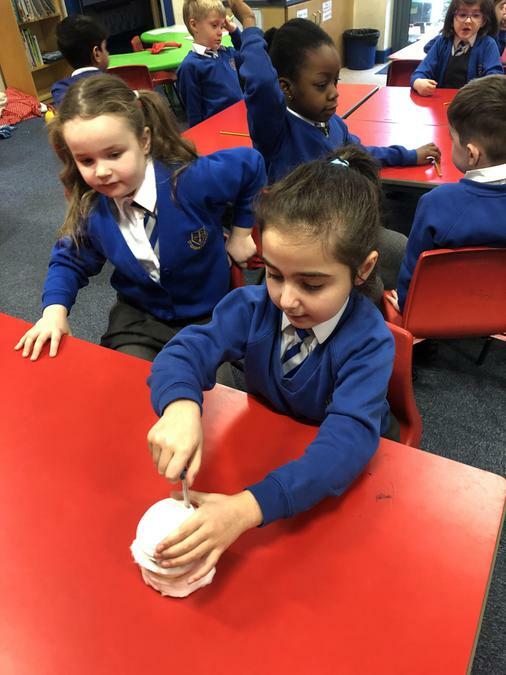 The Eco team have begun preparing for Waste Week 2018 which will run between the 5th and 9th of March. This year this national waste saving campaign will be focused on food waste and packaging. 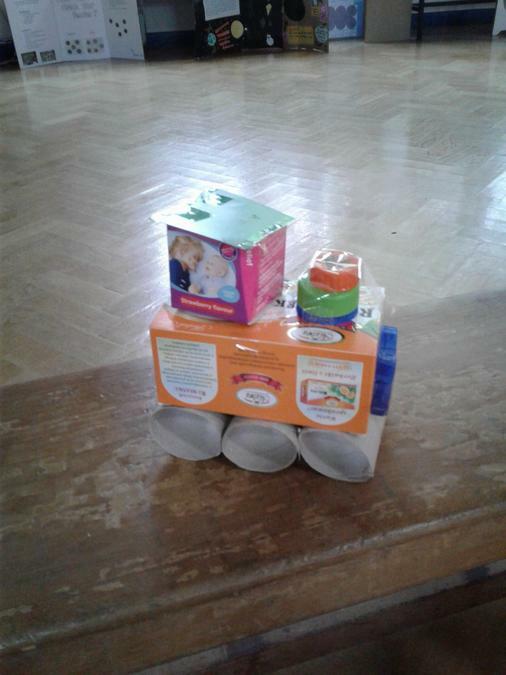 The Eco team aim to raise awareness and hopefully reduce the amount of packaging and waste we create in our school. 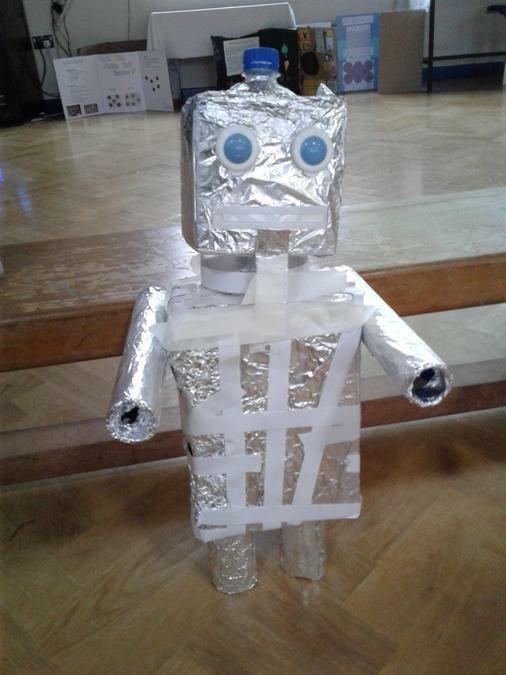 Well done to the very enthusiastic Eco warriors who have continued to raise awareness of the importance of switching off electrical devices and saving electricity in our school. 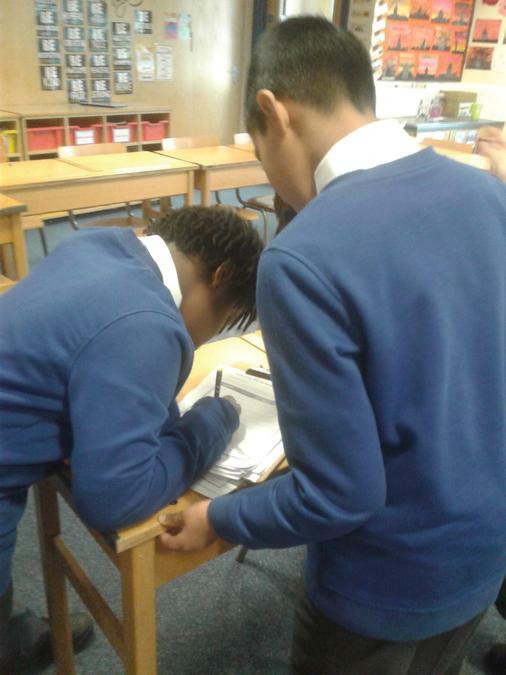 On a Monday and Thursday the Eco warriors have begun completing a whole school check of whether lights/electrical devices have been switched off in unoccupied classrooms. We have seen greater awareness and more energy saving habits since our Switch off Fortnight campaign - thank you everyone for your support! 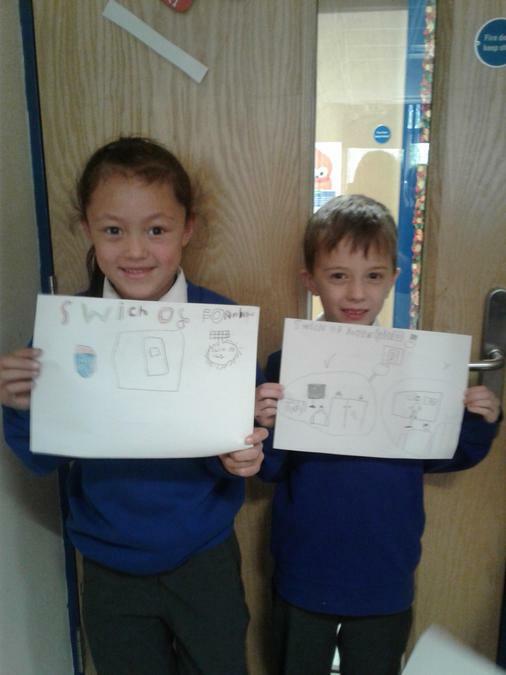 So far the most energy efficient class in Key Stage 1 has been 1W and in Key Stage 2 it has been 3W - well done and remember to switch on to switching off! 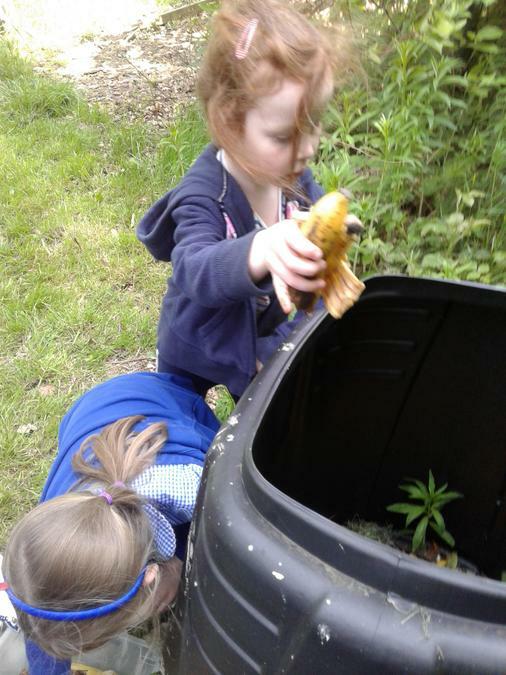 Our Eco warriors have continued to carry out litter picking on the different playgrounds using the litter pickers. 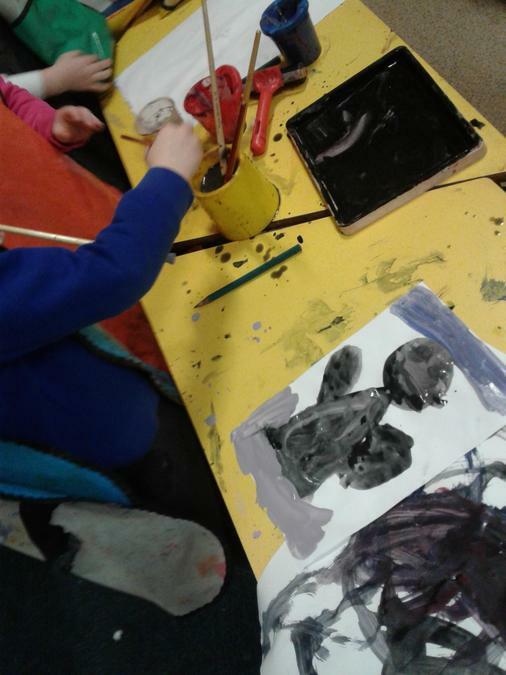 The children have been sharing this responsibility and have been taking turns to ensure this has completed on a daily basis. 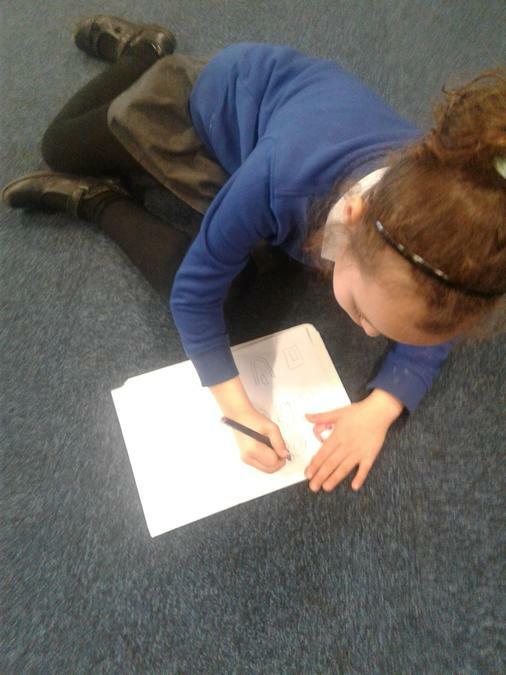 On a Thursday year 4 Eco warriors have been completing a litter inspection sheet recording the amount of litter found on the corridors and also on the different playgrounds. 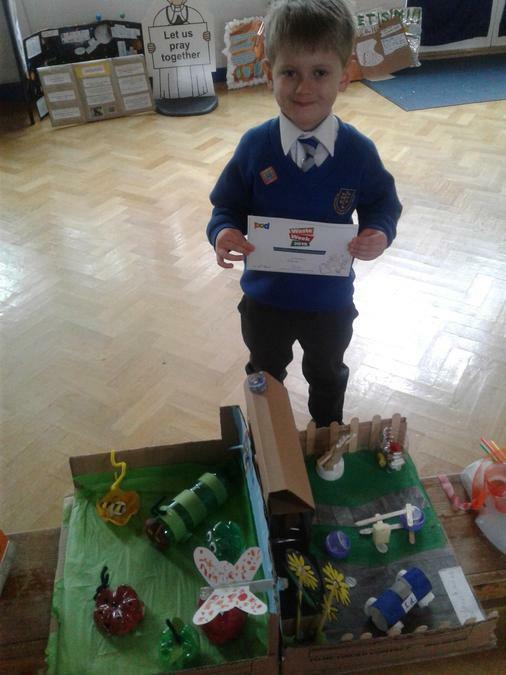 This week the most Eco friendly corridor was the junior corridor and the most Eco friendly playground was the reception playground. Well done! 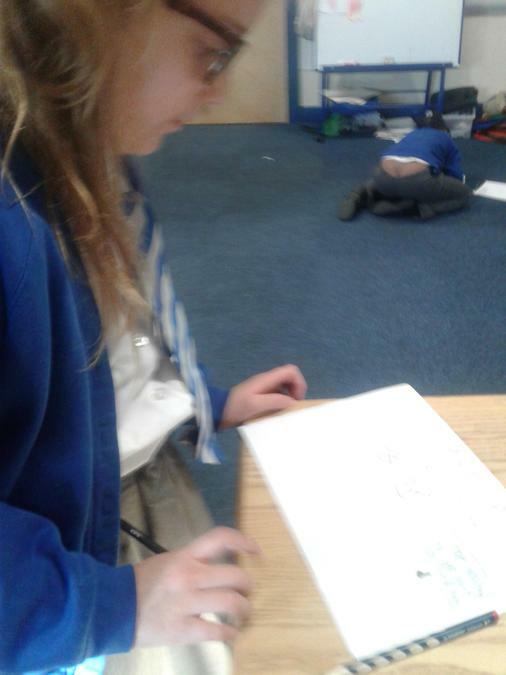 Year five have been taking part in 'What's Under Your Feet?' campaign which helps scientists at the British Trust for Ornithology (BTO) discover how climate change is affecting the British bird population. The children have been digging up small squares of soil, counting how many earthworms there are and using a very simple guide to identify other larger invertebrates in and above the soil. Following the dig the data has been submitted to the POD website to be part of the UK wide experiment. The children have enjoyed taking part in this campaign and are looking forward to completing another dig in March and again June. Well done year five! 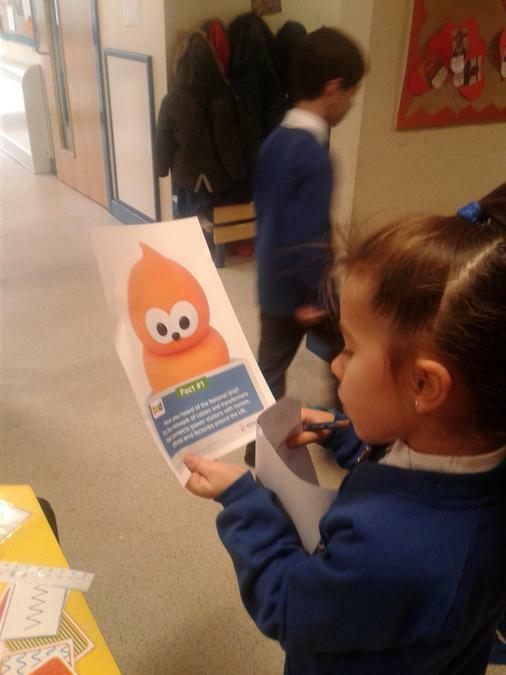 We have partnered with EDF Energy’s education programme The Pod to celebrate Switch Off Fortnight a campaign that will be running between the 20th of November to 1st December. 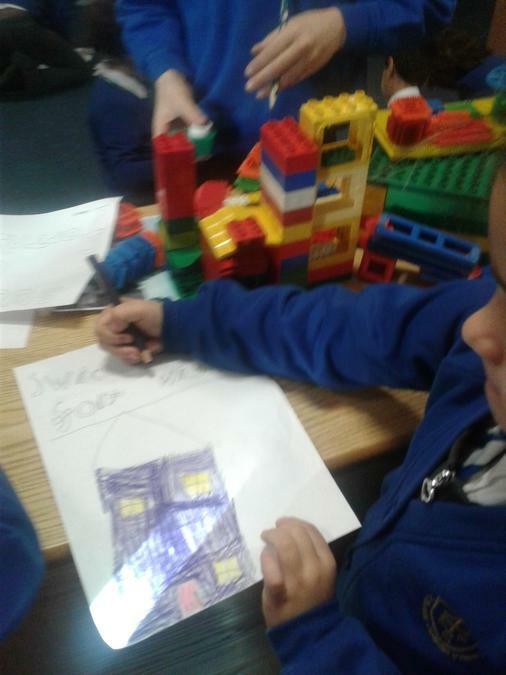 As part of campaign the whole school will be working together to think about how we use energy and ways we can reduce the amount of energy we waste. 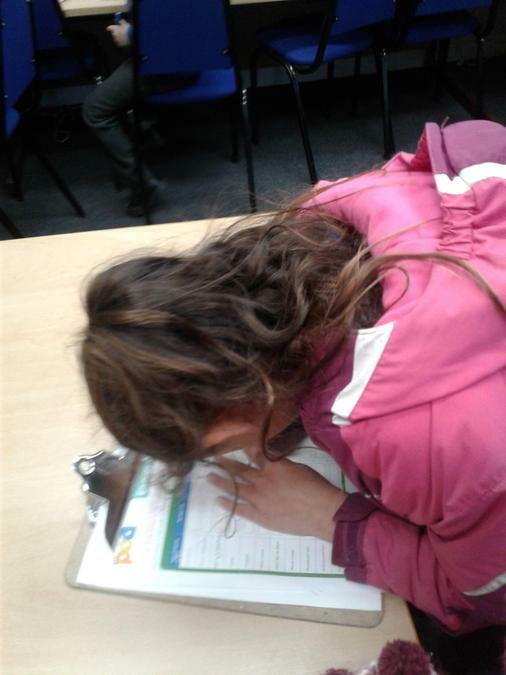 The Eco Warriors will be carrying out an energy audit at the start and end of the two weeks to identify where energy is wasted and also so we can measure the success of Switch off Fortnight. 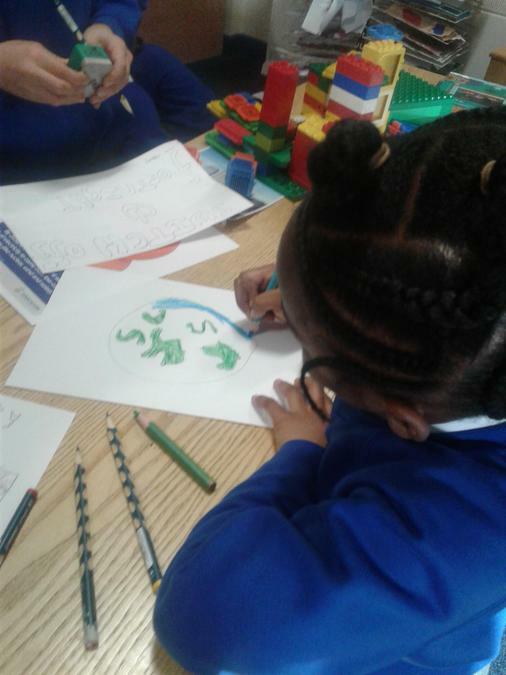 The Eco team have been holding meetings about how to run the campaign and have decided to create posters to promote saving energy throughout the school. 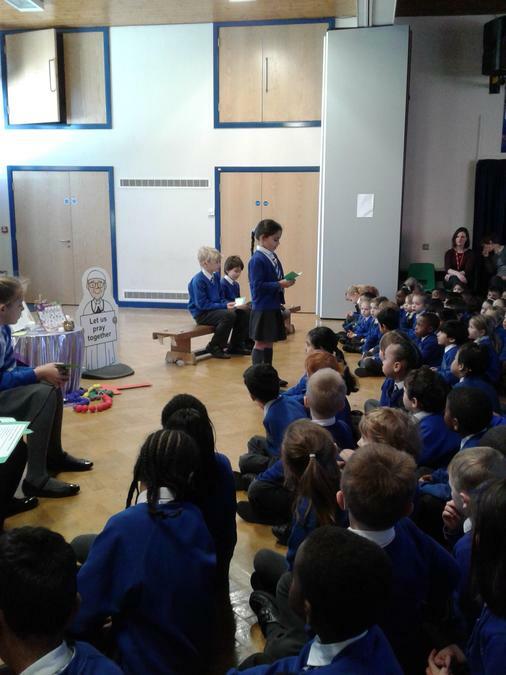 They have also lead their first Eco phase assembly sharing the Switch off Fortnight campaign with the other classes. 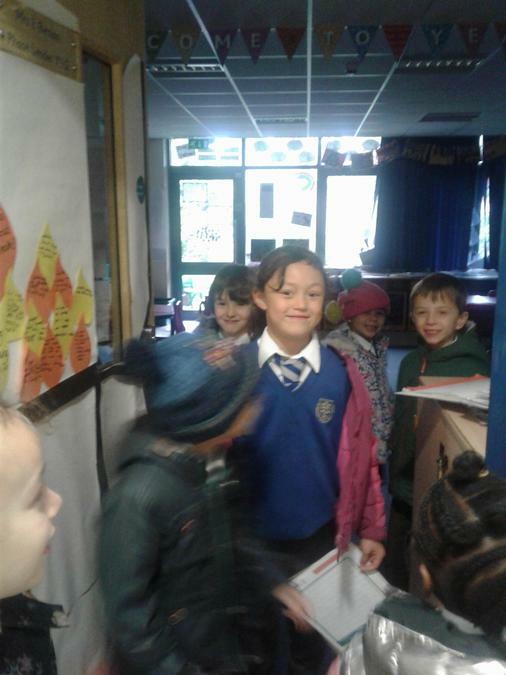 Each class has then created a pledge stating how they will save energy during the two week campaign. 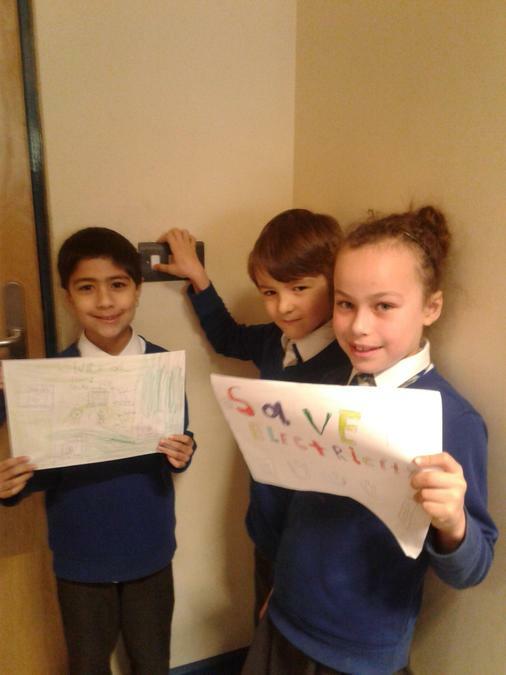 We hope that this campaign will spark energy saving behaviour and make a real difference to our school’s energy bill. Watch this space for more updates about how our campaign is going. 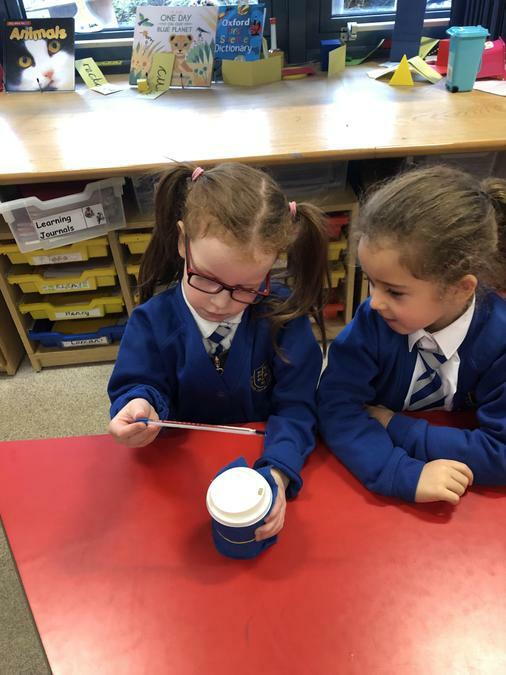 How much energy did we save at school? 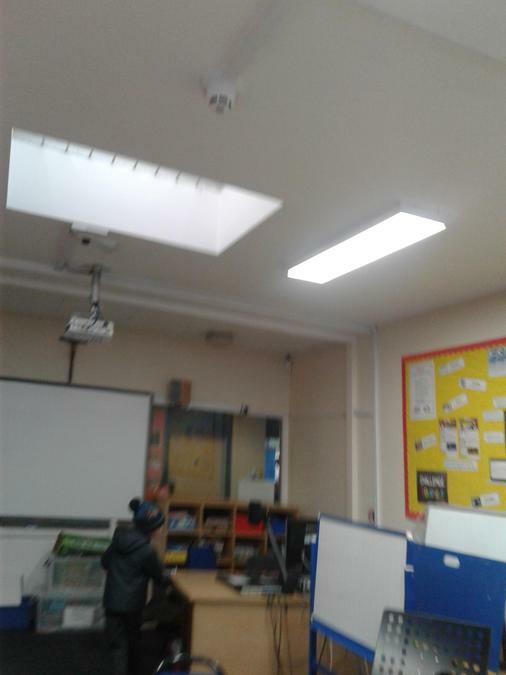 In our first survey, we found that 11 classrooms lights were left on and 44 electrical devices (including Smartboards, visualizers, computers and laptops). In our second survey, we found that 9 classroom lights were left on and 30 electrical devices (including SMART boards, visualizers, computers and laptops). This means, we have saved 7.1 kWh of energy over a 24 hour period. If we carried on, we would save 1385 kWh of energy in a year! This would save the school around £200 a year. Wow, well done! We are very proud of all our Eco warriors who have worked hard throughout the campaign and switched on to switching off. 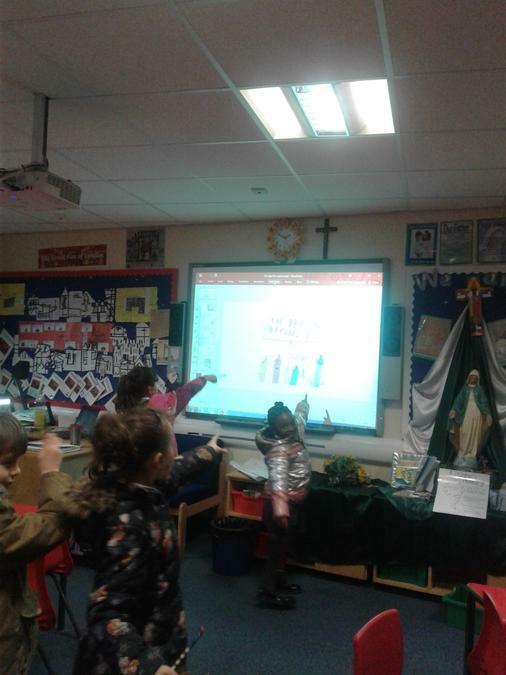 Switch Off Fortnight gives everyone involved a great focus for saving energy but remember to keep up the good work all year round! The new Eco Warriors for this year have been chosen and we are pleased to see Eco Warriors from last year eager to return to being part of the team. Thank you for all of the children who put themselves forward. 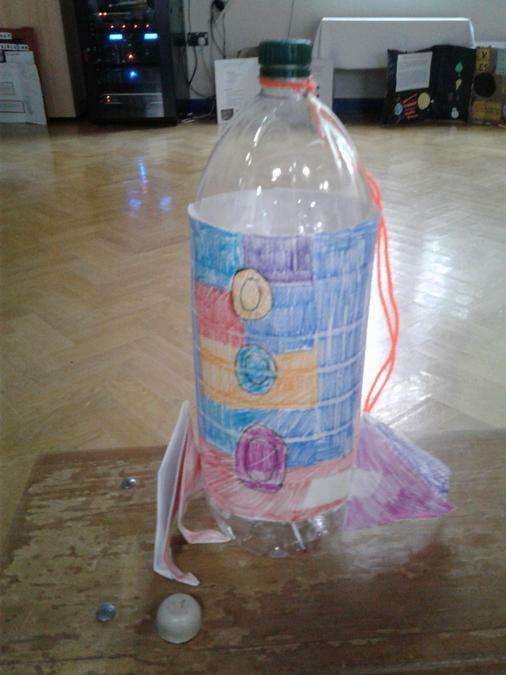 Welcome to our first Eco blog of this new school year! We are currently setting up a new Eco team and this will be announced shortly. 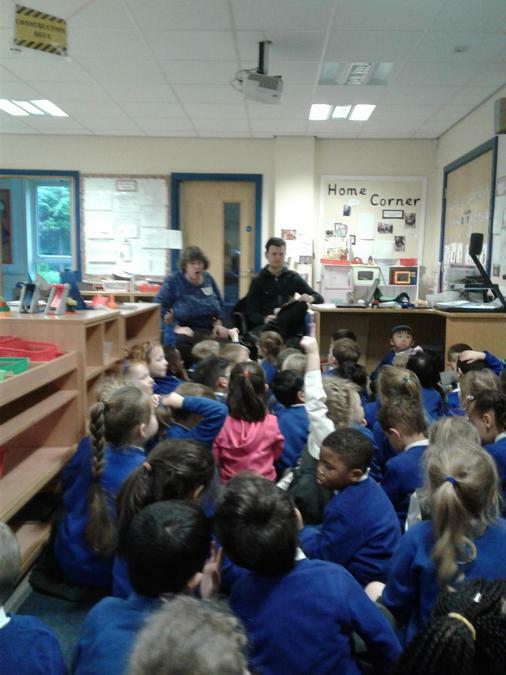 The children have been speaking to Mrs Carr and Mrs Naylor about why they would like to become part of the Eco team. 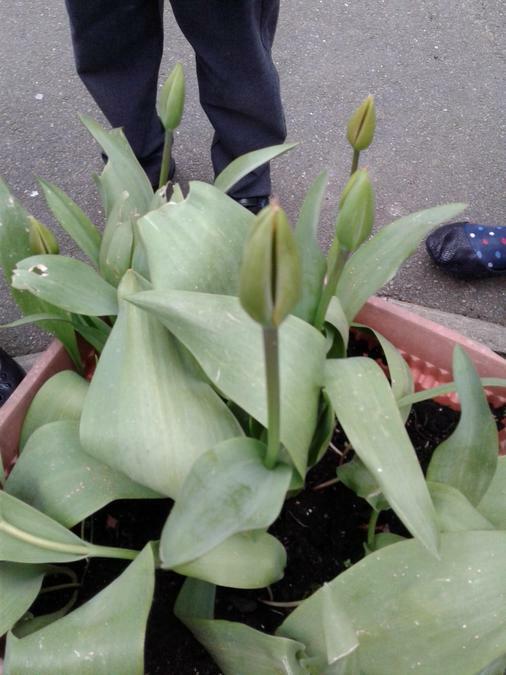 Their reasons have been very thoughtful and have shown the children's keen interest in improving the environment. Thank you children for your wonderful responses! We have recently signed up to take part in an upcoming Eco campaign called ‘Switch off Fortnight.’ This campaign will take place in late November and more information will follow after the half term. 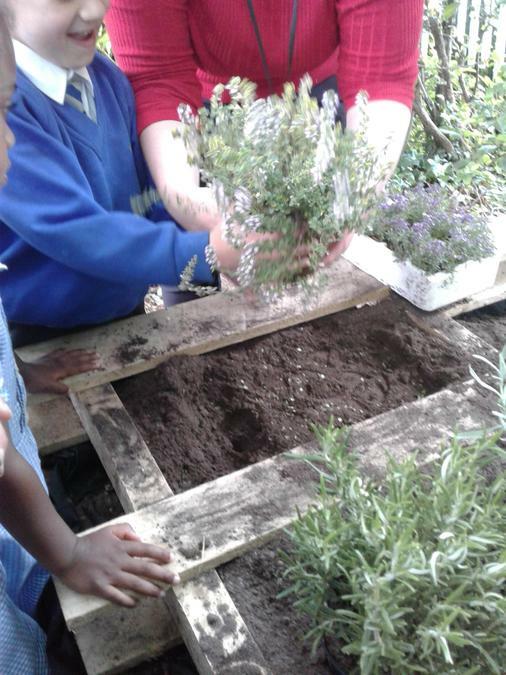 We look forward to an exciting year ahead and to creating an even more Eco aware school environment! On Tuesday 27th June we met some of Birmingham City Council’s waste prevention team. After a short assembly on what is/isn’t recyclable and how they recycle we donned our high visibility jackets and litter pickers to go on to the playground. 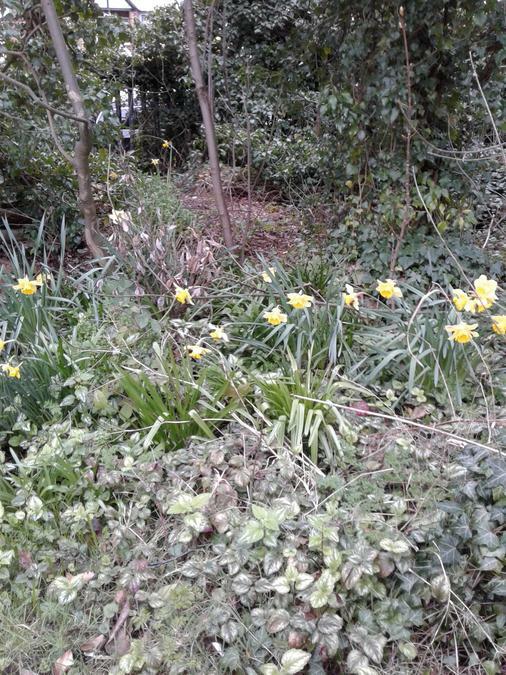 After 20 minutes of litter picking we were told that we had done a good job. 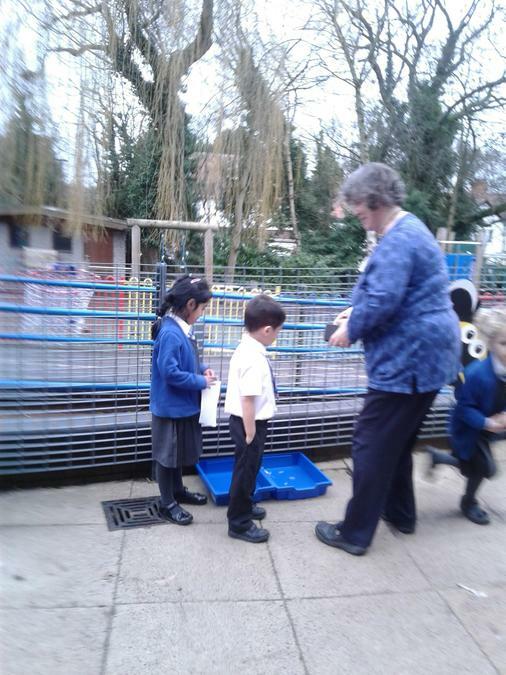 We found rubbish around the junior playground, on the field, behind the sheds and in the prayer garden. This means we aren’t doing enough for our school environment and can do even better! There are lots of bins everywhere yet everyone is not using them. 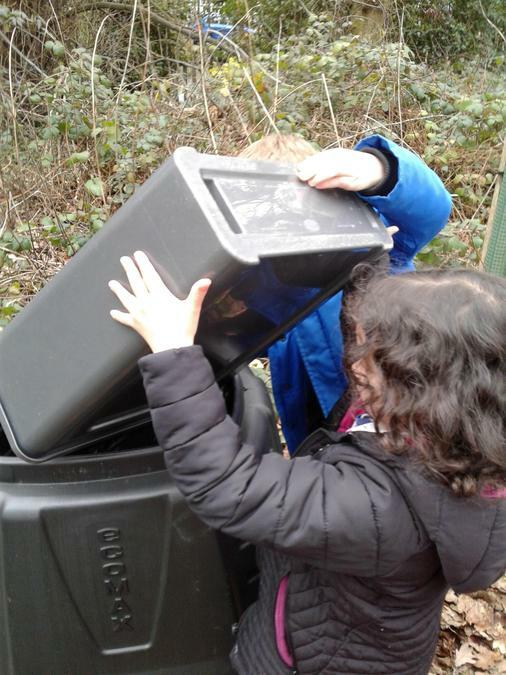 We need to remember to put our rubbish in the correct bin! 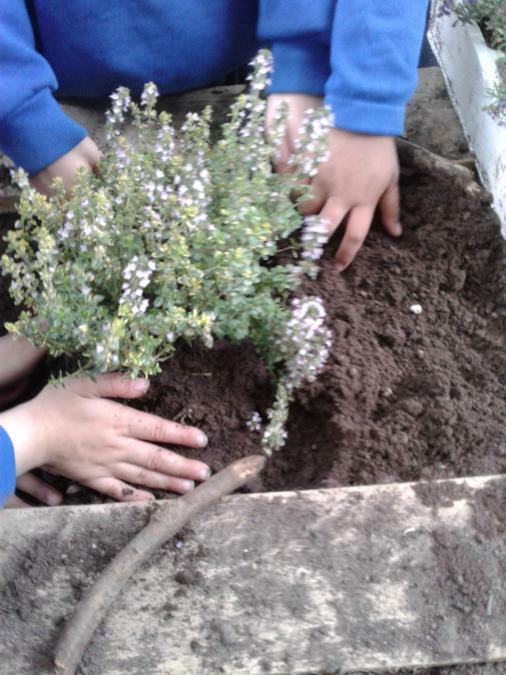 Children in reception have worked together as a team to create a safe place for insects on our playground to live. We talked about the different insects and animals that might live on our playground. 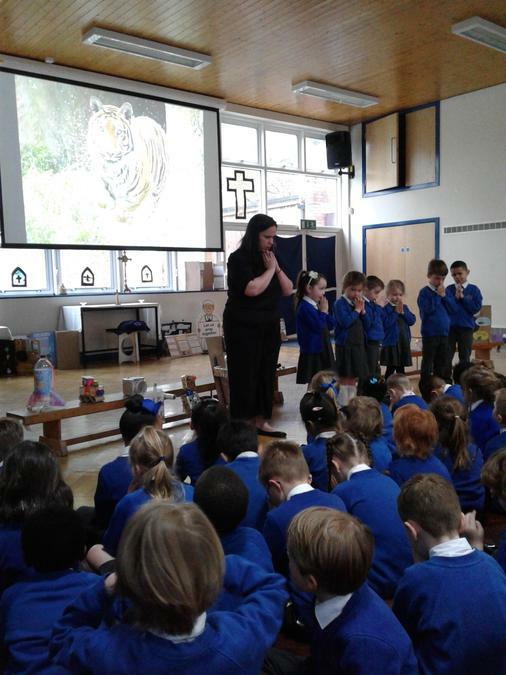 The children understood that it is important to look after all of God's creatures and wanted to make them feel welcome in a safe environment. 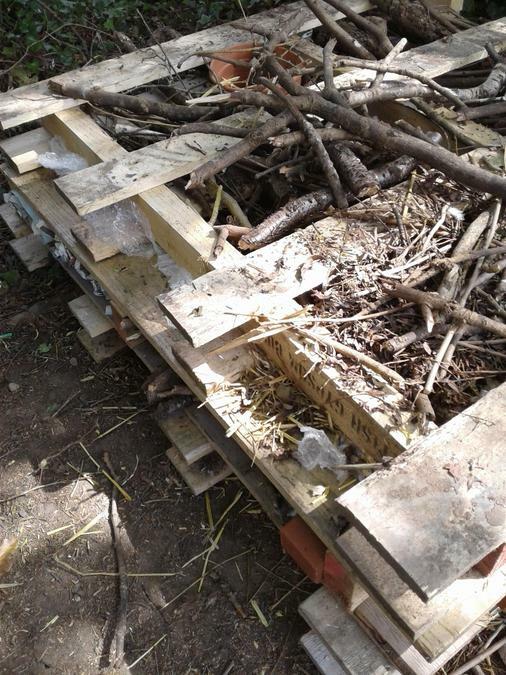 To make the bug hotel we used three palettes and filled the gaps with different materials for the insects to live in. 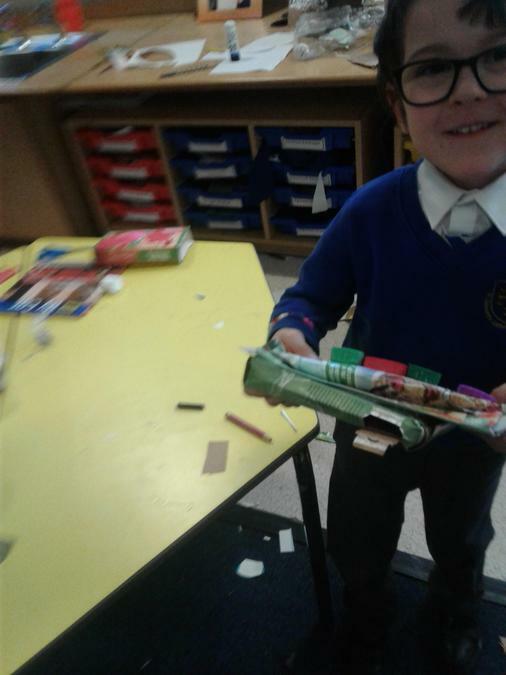 We used a variety of materials including newspaper, straw, sticks, broken plant pots and broken bricks. 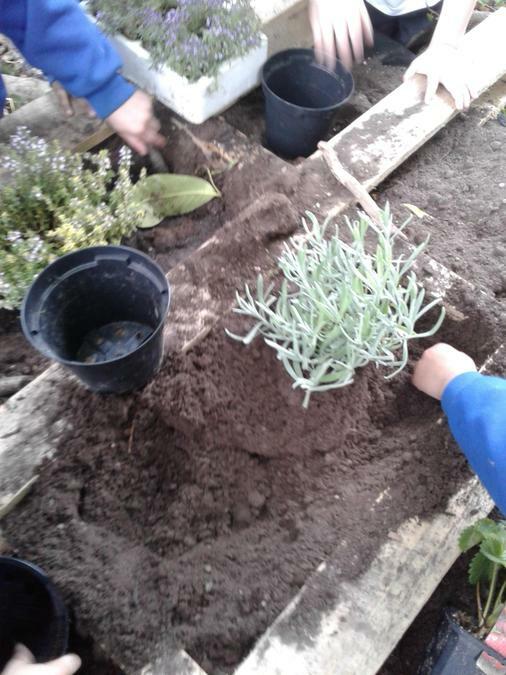 When we had finished making the hotel we added soil to make a roof and decided to grow plants on top. 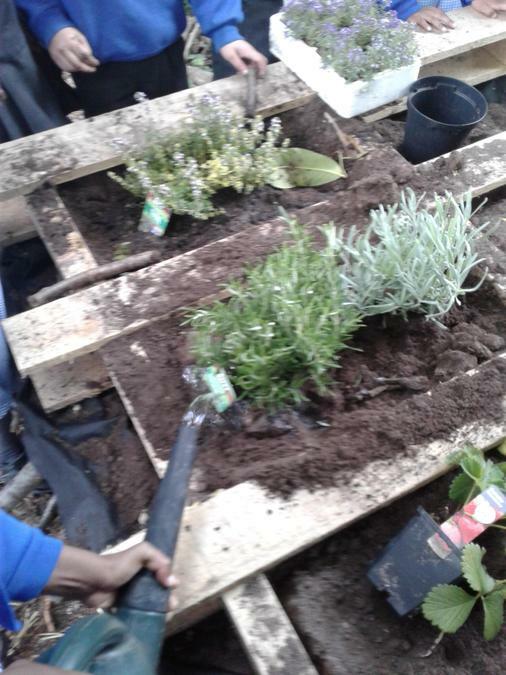 The children asked to grow strawberries and we also planted different types of herbs such as rosemary, thyme and lavender to promote more wildlife in our playground. We are very proud of our hard work! 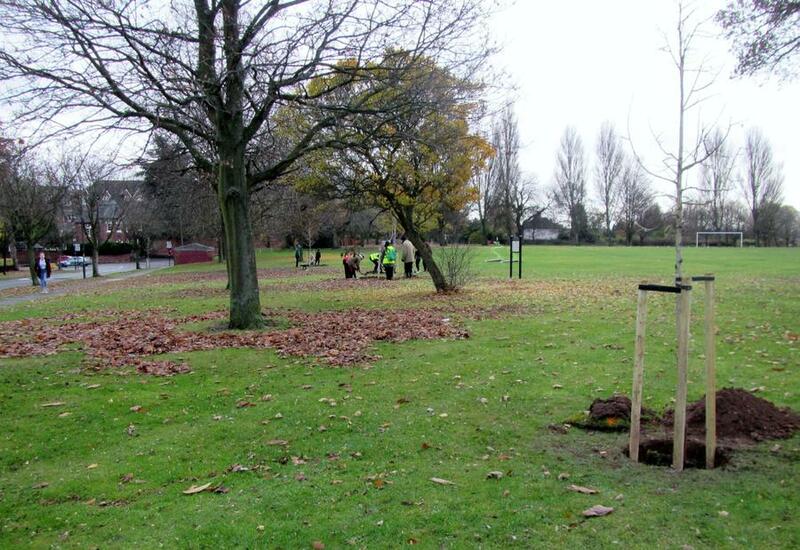 On Thursday 24th November 8 members of our ECO team had the opportunity to help plant 3 types of very different trees (Sorbus Torminalis, Corylus colurna, Cornus mas) in Selly Park Recreation Ground with members of the ‘Birmingham Tree for Life Project’. Our Eco team enjoyed working together to plant 10 trees and asked lots of thoughtful questions about the trees they were planting. 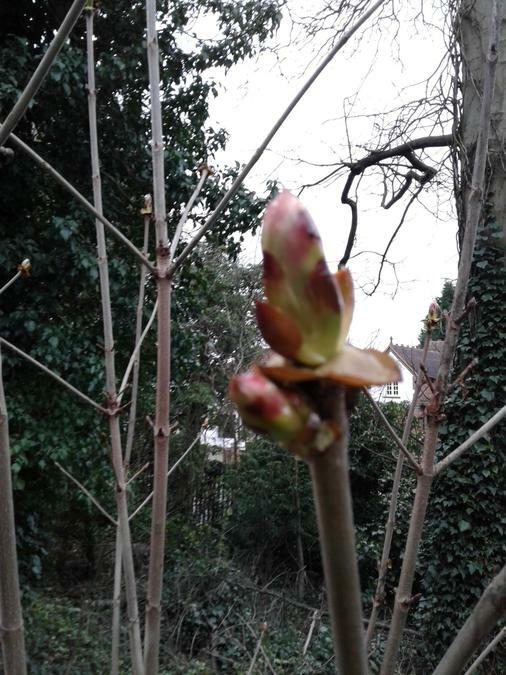 The children have named each of the trees and are looking forward to watching the trees grow to maturity. 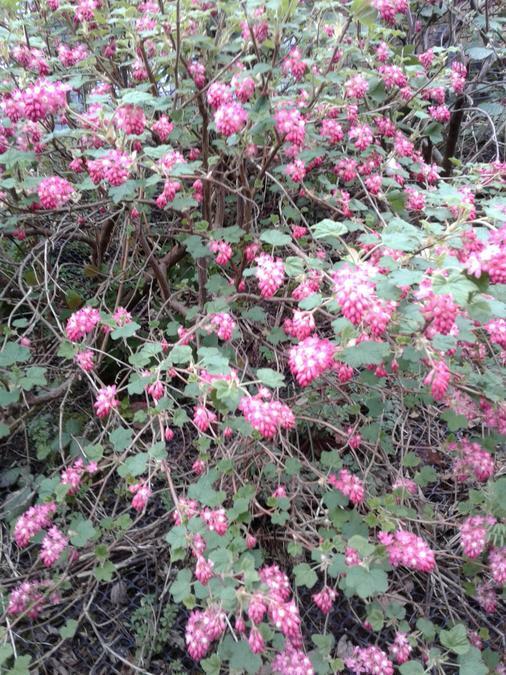 Hello and welcome to our first Eco blog of this academic year! 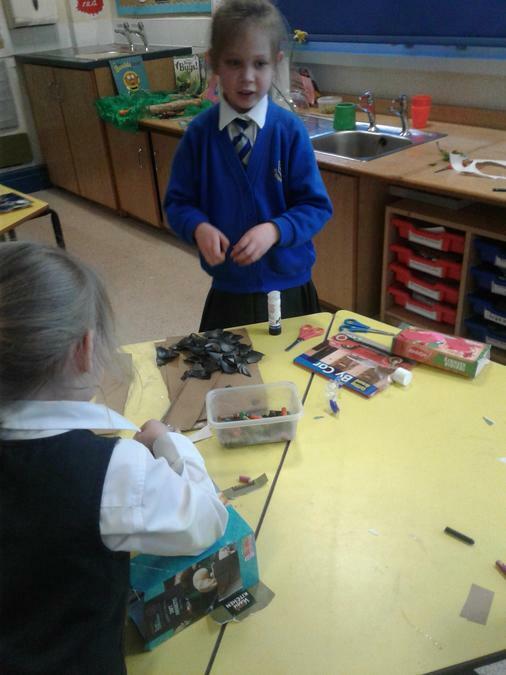 This year our Eco team are recycling batteries to help the environment. We have a battery box located by the school office reception area. Each battery placed in the recycling box will be taken apart and many of the materials will be used to make new batteries or something else. Firstly if you bin batteries the toxic poisonous chemicals could leak out and damage the environment. It is not only poisonous to human but animals and plants too. As a majority we don’t think about recycling batteries as often as we should. We can’t throw batteries in the normal bin because they will be put in a landfill and all of the hazardous waste (acid) could leak out. This would damage the soil and could cause water pollution. Please remember to bring useless batteries to our school. If you forget to bring them in you could also recycle them at most local supermarkets. See you next time, Eco Warriors over and out. On Thursday 30th June, we had a bit of an Eco focus day whereby Eco Warriors worked incredibly hard to create the Eco Mural that was designed by Olivia in 6C for the design competition during Eco week. 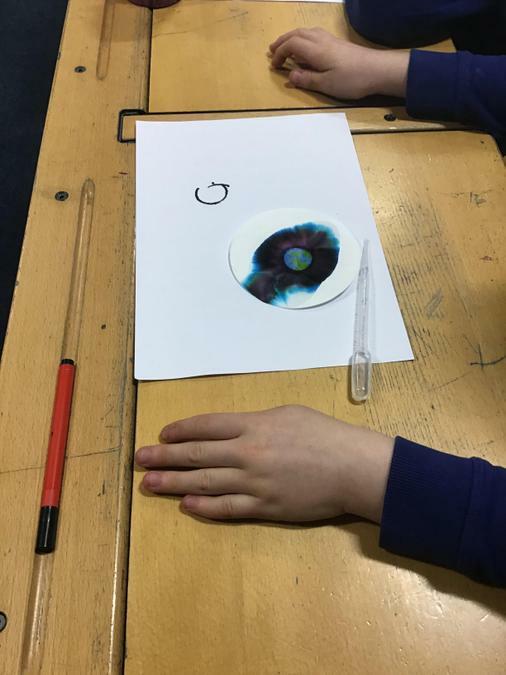 They worked in teams along with a few year 6 children and Mrs Goddard to wash and dry the bottle tops, sort them into groups of similar colours, roughly draw the design onto the wooden panel, place the bottle tops onto the wood and glue them into place. 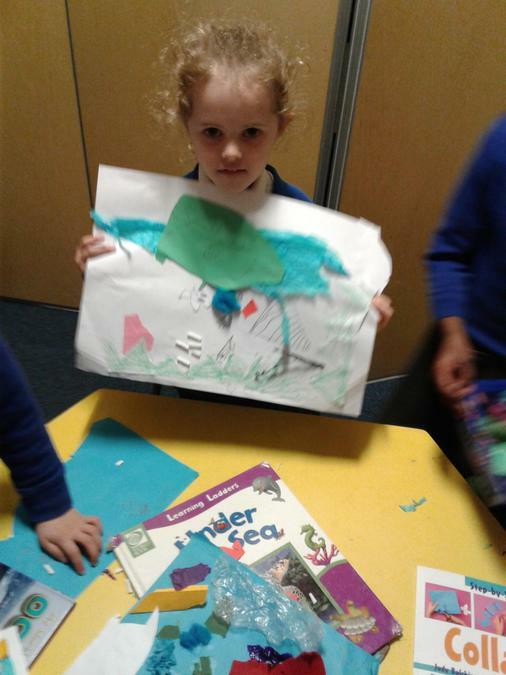 All Eco Warriors took part in some way to complete the Eco Mural which depicts our world sitting inside a large bin. The idea behind this design is that we should do as much for our world as we can by recycling and treating it with respect. We should not treat it like rubbish, filling it with rubbish, discarding it like rubbish. We must make the effort to keep it clean and tidy and we should not throw our beautiful, magnificent world away. 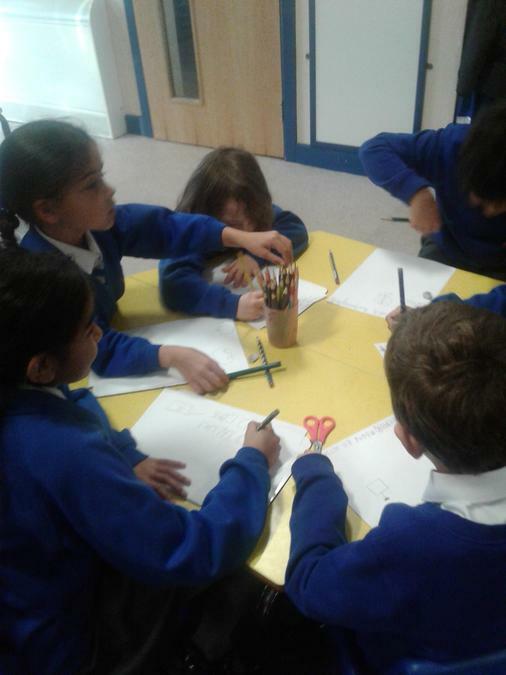 Later in the afternoon, an Eco meeting was held where Warriors discussed some very important issues about the school. 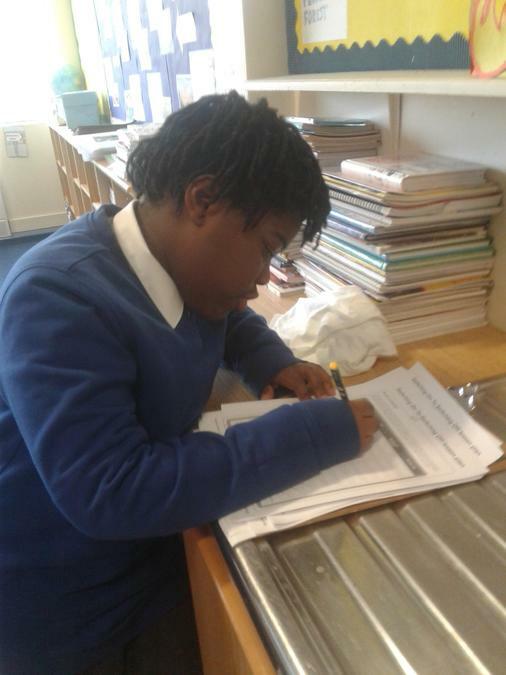 Our Eco Action plan was examined and we considered how much we have achieved this year. 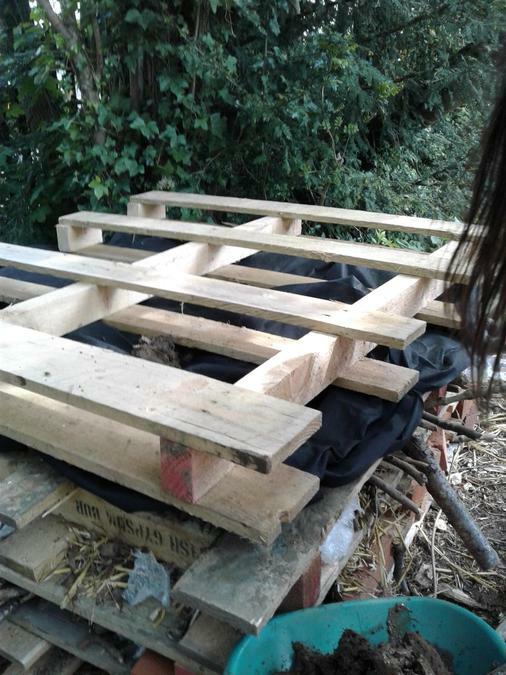 We decided that, bearing in mind our school was not an Eco school at the beginning of year, we have accomplished such a lot! * Created an Eco team. * Completed an environmental review of the school. * Had regular meetings to discuss school issues. * Created an action plan for Eco and reviewed it. * Raised awareness of Eco throughout the school. * Arranged and carried out a special week for everyone to participate in which focused on Eco issues, in particular Waste Electrical and Electronic Equipment. 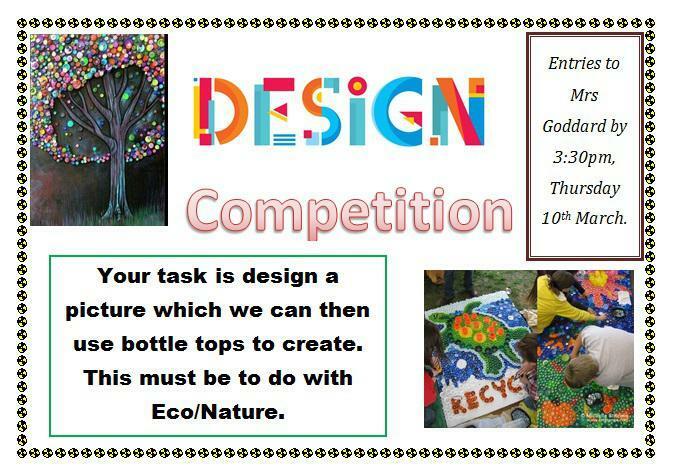 * Taken part in Eco competitions for poetry, design and homemade crafts. * Invented a school Eco rap and performed it all together. * Collected thousands of bottle tops in an amazing school effort. * Completed curriculum work in some classes to do with the environment or Eco issues. 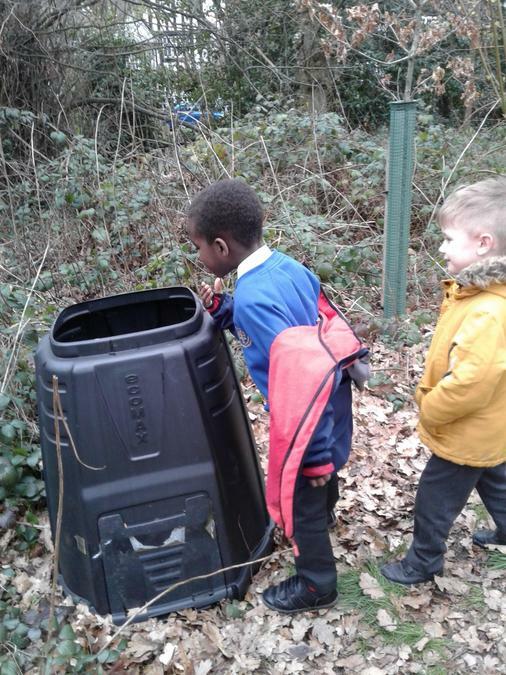 * Led a litter picking initiative to tidy up our school grounds. 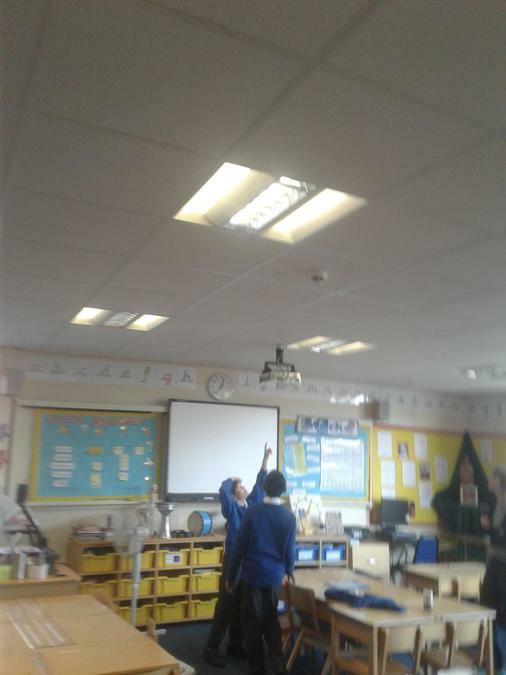 * Questioned our use of electric in the school and tried to reduce the amount we use by turning off visualisers, computers, fans and lights at playtimes and lunch times when rooms are empty. * Encouraged paper and card recycling in our classrooms. 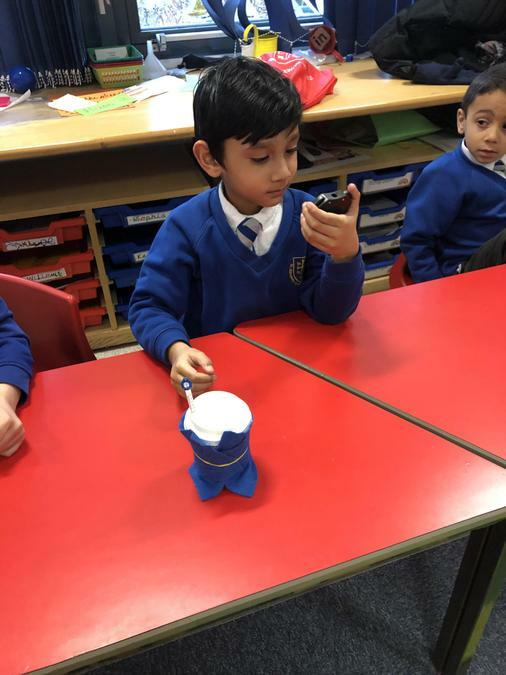 * Built a blog page for our school website. * Made an Eco Display board in the hall. * Produced an Eco Mural. 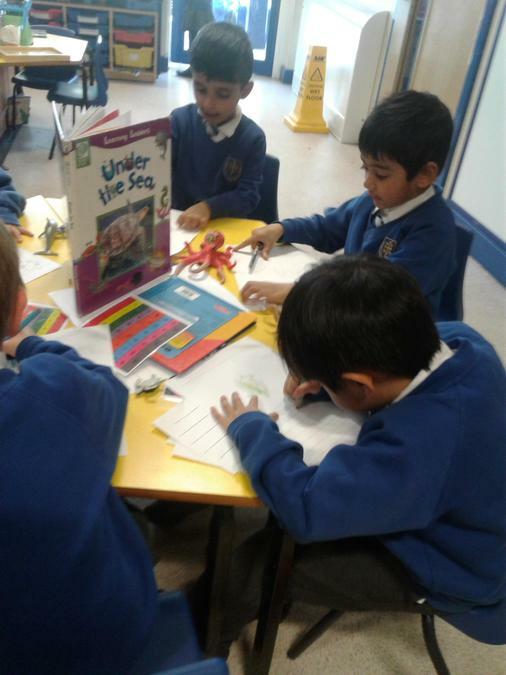 * Working towards our Bronze Eco award. Wow! What an achievement! Go Eco! Thanks for an incredible year and well done for all of your efforts. Please start to collect old batteries. They should not be disposed of in the litter bin so we will be collecting them in school from September and will dispose of them appropriately. Please make sure you recycle plastic, paper and card. Remember a plastic bottle can take on average 450 years to completely decompose if left in a rubbish tip to rot. Some plastics take more than 1000 years to break down. If you have old clothes, please make sure they are either passed onto other people in need, for example to friends, clothes banks or charity shops. Firstly, waste week was a huge success! 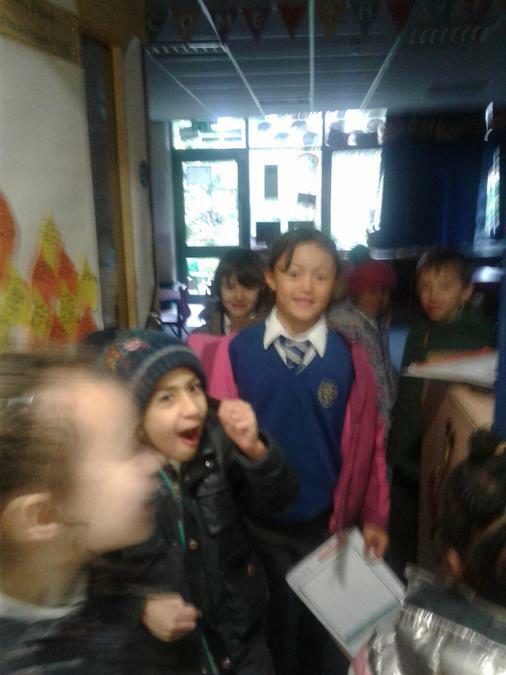 Everybody was very impressed with your class eco rap performances and Key Stage 2, especially year 5, made a huge effort in entering the design and poetry competitions. Maybe we will have more entries from key stage 1 next time! Watch this space! The entries were really strong but these were particularly impressive. They will be displayed on our Eco board. 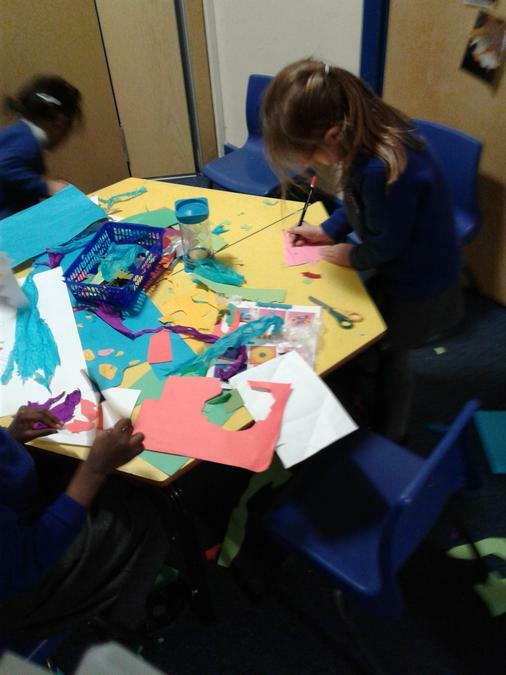 Olivia’s design will be made into a mural using the bottle tops that you have been so eagerly collecting! 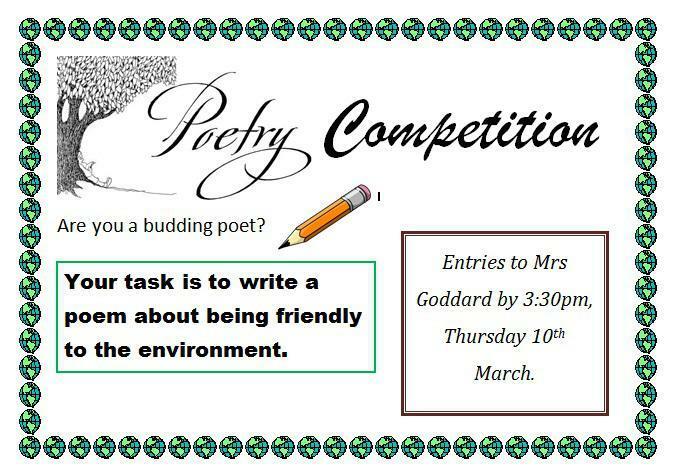 Please remember to see the winners of the Eco week competitions to congratulate them. Please continue to collect bottle tops and bring them until just after Easter when we will see how many we have and whether there is a need to collect more. Our Eco Warrior Princess, Mrs Goddard, has also requested that you look for recycling symbols on packaging, cut them out carefully and bring them in. There is a small box in the main school entrance to put them into. How many different symbols can you find? Calling all classes! Please remember to water your Eco plants. They are dwarf dahlias and should be starting to shoot up now. 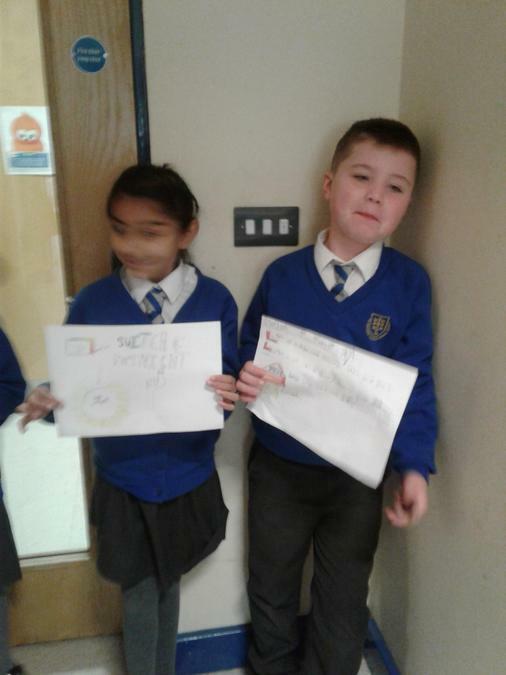 Keep an eye on them to make sure they have enough water and one person from each class needs to take responsibility for them over Easter at home. Have an eco-friendly Easter. Remember to recycle those Easter Egg boxes. All the best from the Eco Warriors and Eco Warrior Princess. 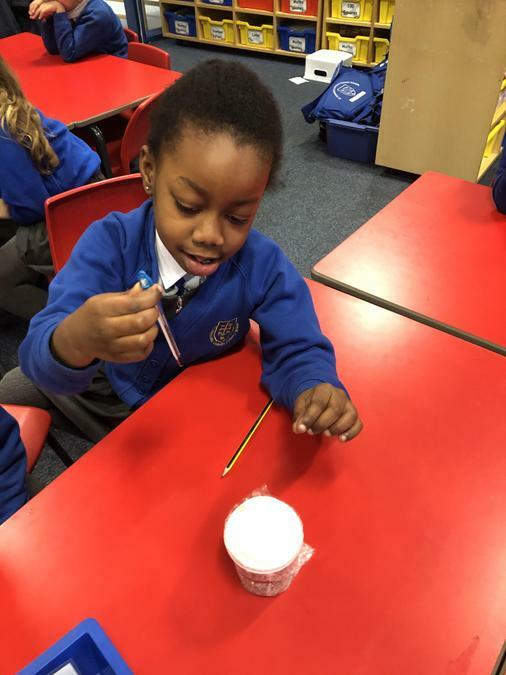 Welcome to our second Eco blog. 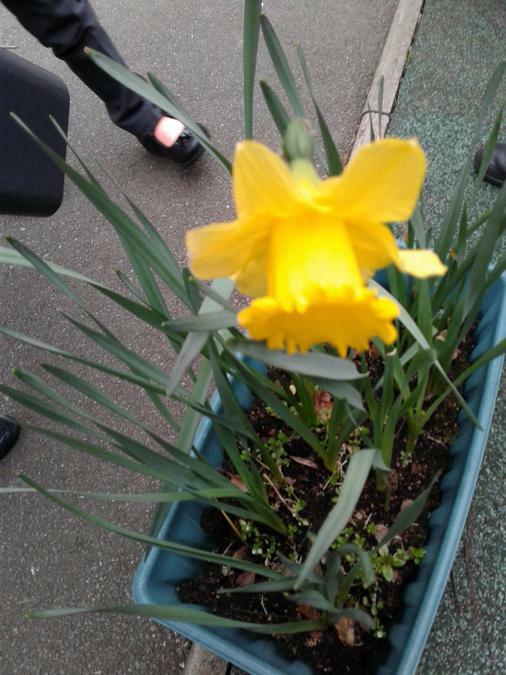 This week is incredibly special because it is the first week that St. Edward’s School has celebrated going green! 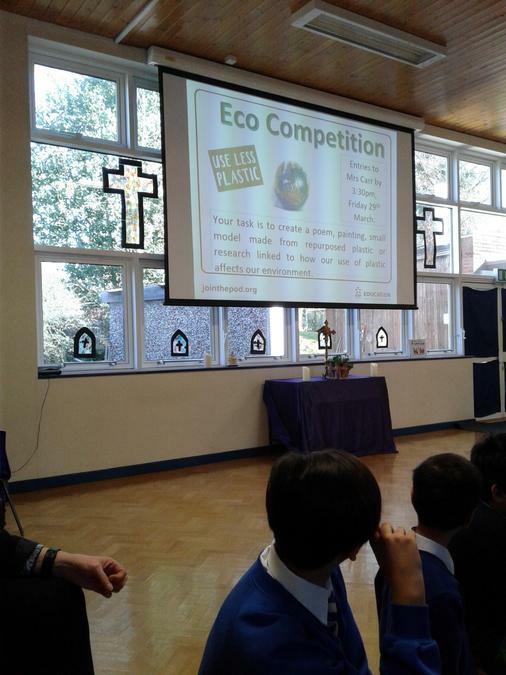 It is our very first Eco week! 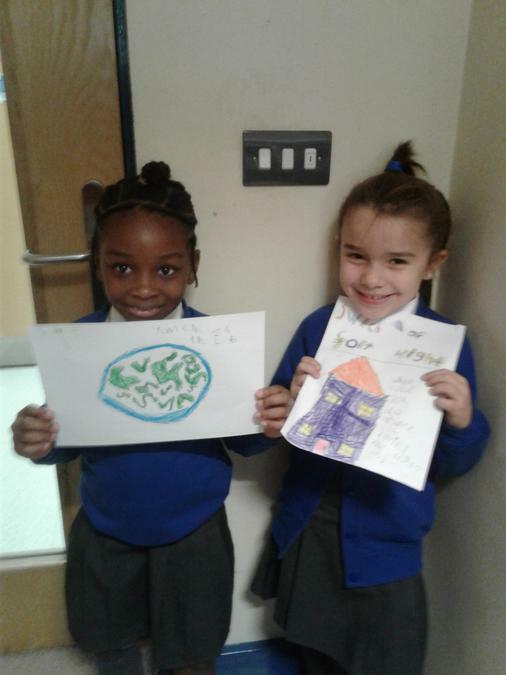 There are lots of things that you can do to support Eco week. 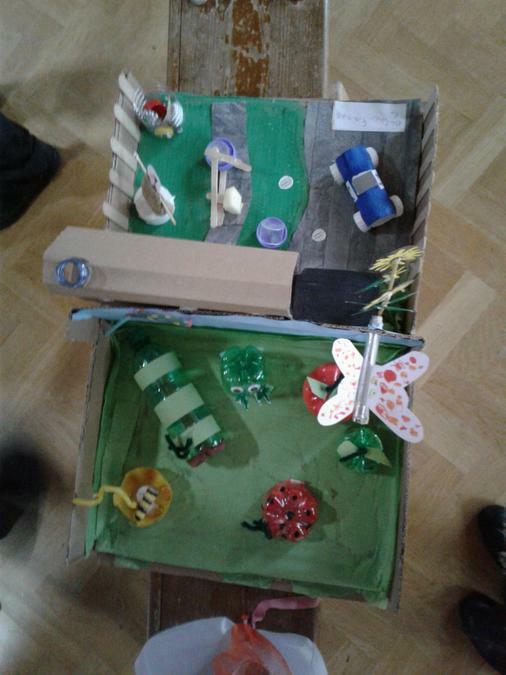 We need some logo ideas that can be used to represent our Eco team, enter the poetry, design or home- made craft competitions and read the facts about Waste Electrical and Electronic Equipment that are on walls around the school. 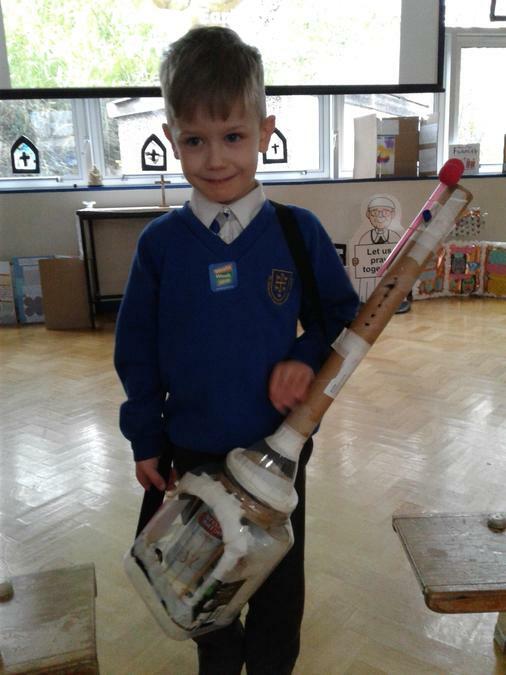 We will be deploying lots of litter pickers around the school so if you see them, tell them to keep up the good work! Hello and welcome to our first Eco Warrior blog! What is Eco I hear you say? Well, to be Eco you need to be friendly to the environment and to nature. 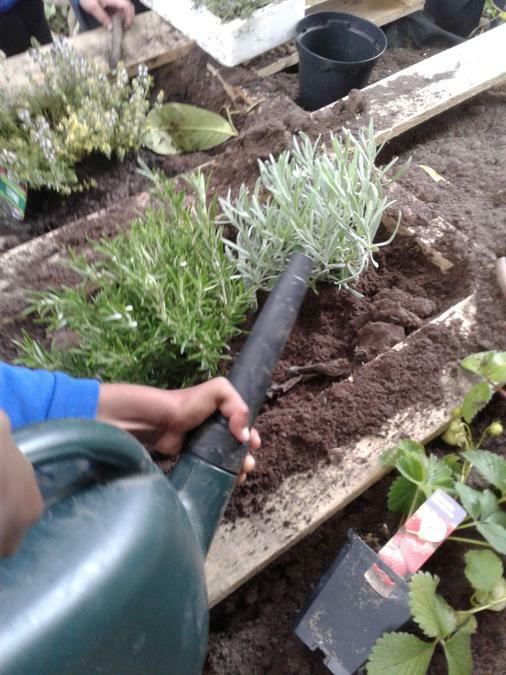 Our Eco team is trying to make our school and school grounds more environmentally friendly. We will update you shortly as to what our focus areas will be. As a team, we want to make our school a happier and healthier place. 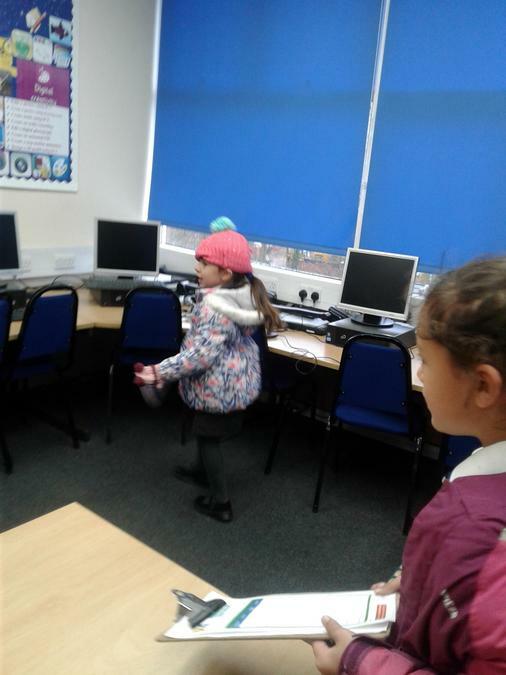 The Eco Warriors including Eco Warrior Princess Mrs Goddard met together for the first time on 10th February in the ICT Suite. 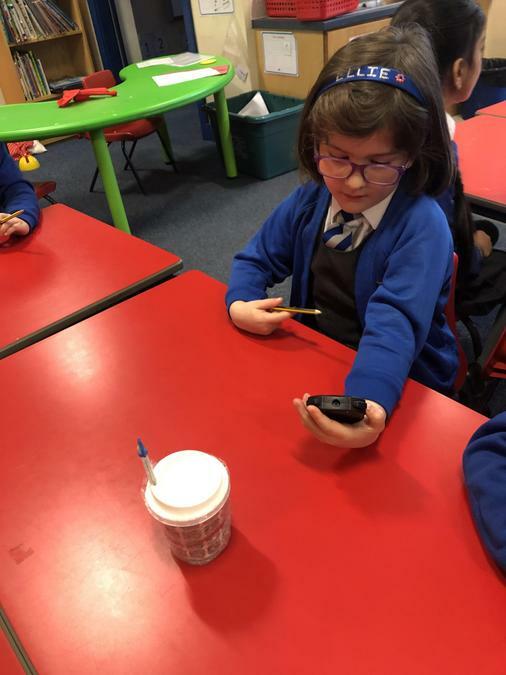 During the meeting, we learnt about our roles as St. Edward’s Eco Team and got stuck into our first task which was to carry out an Environmental survey of the school grounds. 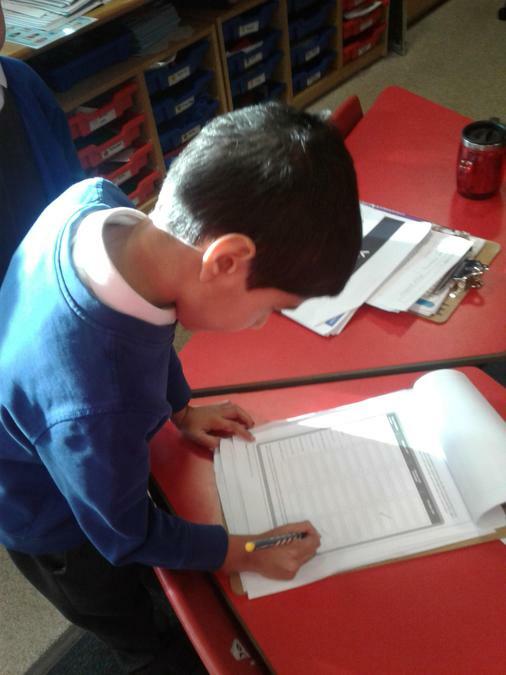 Clipboards and survey sheets in hand, we discussed the merits of our school but also the inadequacies, purely of course so that we can look at improving our school further! 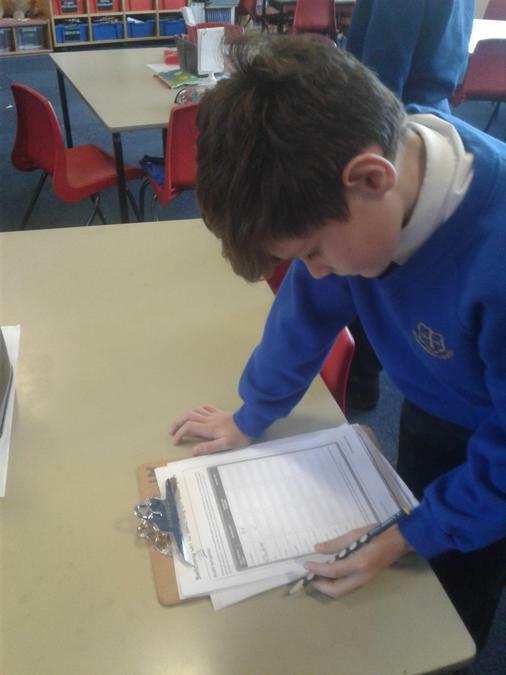 The survey was split into 9 main areas including energy, litter, waste reduction, water, transport, healthy living, biodiversity, school grounds and global citizenship and we will be looking at the results to see if there are any things that we need to do to make our school more environmentally friendly. Remind teachers to turn off electronic things such as projectors and visualisers at lunch time and at the end of the day in order to save energy. 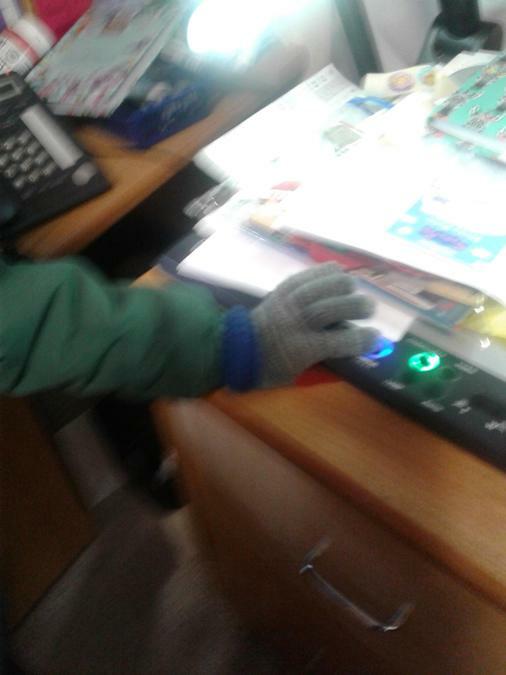 Turn the lights off and close the door each time everyone has left the classroom to save energy and keep the heat in. Check the green recycling box for correct use (paper used on both sides) and carefully stamp on the paper to make more room. But even if you are not in the Eco team, don’t feel left out as you can definitely help! As you walk around the school, if you see litter on the floor, pick it up! Or if there are outside doors open and nobody using them, close them! Instead of throwing paper in the bin, use both sides of it and then throw it in the recycling bin. Be eco! Until next time, Eco warriors, over and out.